The light residential zones are intended to preserve land primarily for individual households in a low density residential neighborhood environment. While some non-household living uses are allowed, they are regulated such that the overall character of the zones is not sacrificed. The regulations in this chapter state the uses and development standards for the base zone only. Additional regulations may apply to sites with overlay zones, or specific uses. Section 300 states these additional regulations. The official zoning map indicates sites subject to overlay regulations. Special use regulations are referenced below. A. Uses Allowed Outright. The uses allowed in the light residential zones are shown in Table 210-1 by the letter “Y”. Uses are allowed if they comply with the development standards of the base zone and any additional regulations that apply to the use or the site. Additional regulations are listed in Section 300. B. Conditional Uses. The uses which are allowed upon approval through the conditional use review process are shown in Table 210-1 with the letters “CU”. These uses must meet the conditional use approval criteria, the development standards and any additional regulations stated in Section 300. C. Prohibited Uses. Uses shown in Table 210-1 with the letter “N” are prohibited in the zone. Legally established uses & development which existed at the time this Code was adopted and would otherwise be prohibited, are subject to additional regulations in article 640 Non-conforming situations. Uses which are accessory to the permitted or conditional uses are allowed if they meet the development regulations of the base zone and any additional regulations stated in Section 300. Typical accessory uses are included in Section 710 – Use Categories. Detached radio and television antenna and towers for non-commercial use are a conditional accessory use in light residential zones subject to conditional use review. Maintain the character of the built-up area through required dimensional standards. Maintain light, air, separation for fire protection and access for fire fighting. Maintain and enhance the building scale & relationship between structures of the existing built-up area. Provide adequate flexibility to allow development which is compatible with the existing neighborhood, fits the topography of the site and allows architectural diversity. Housing types are limited in the light residential zones in order to maintain and enhance the overall character of single dwelling neighborhoods. The housing types allowed are shown in Table 210-2, along with references to the additional regulations which are stated in Section 300. 210.320 Lot Size and Dimensional Standards. A. Required Setbacks. The setbacks for front, rear and side yards are stated in Table 210-3. B. Corner Lots. The minimum setback for front, side and rear yards for corner lots is stated in Table 210-3. For the purposes of this regulation, the property owner or developer can designate either street as the front yard with the opposite side designated as the rear yard. C. Extensions into required building setbacks. Minor Projections Allowed. Minor features of a building such as eaves, chimney, open fire escapes, bay windows up to 12 feet in length, uncovered stairways and wheelchair ramps, uncovered decks or balconies, which are attached to the building may extend into a required front building setback by no more than 5′ and into a side setback or rear building setback no more than 2 ½ feet. Projections Not Allowed. Attached mechanical structures such as heat pumps, air conditioners, emergency generators, and water pumps may not project into any building setback. (b) If only one abutting lot is occupied, the setback shall be the distance to the existing primary building on the abutting lot plus one half the remaining distance to the required setback for the zone. A. Maximum Height. The maximum height for all structures is stated in Table 210-3. B. Exemption to the Maximum Height. Projections allowed. Projections extending vertically from permitted buildings and uses such as skylights, chimneys, small-scale residential energy equipment, and radio and television aerials may be erected above the height limitations herein prescribed. Such structures shall not project more than 5 feet above the maximum permitted height. Utility poles are exempt from the height limit. A. Building Coverage. The maximum combined building coverage on a site for all covered structures is stated in Table 210-3. B. Hard Surface Coverage. The maximum front or rear yard area which may be in hard surface is 40%. Attached Accessory Structures. If attached to the primary building or separated by a breezeway, accessory structures shall fulfill the front, side and rear building setbacks of the primary building. These standards are stated in Table 210-3. Detached Accessory Structures. If detached and located behind the rear-most line of the main building, or a minimum of 50 feet from the front lot line, whichever is greater, any structure in compliance with the Oregon Structural Specialty Code for residential may be located adjacent to or on the rear and/or side lot line not fronting on a street. A. Types of Fences. The fencing standards apply to walls, fences, and screens of all types whether open, solid, wood, metal, wire, masonry or other material including vegetative materials. B. Location and Height Limits. Fences up to 3 ½ feet are allowed in the required front building setback and in the required side building set back to the depth of the required front setback. Fences up to 6 feet are allowed in required side and rear building setbacks, except for corner lot side setback which is limited to 3 ½ feet. A. Accessory Home Occupations. See Section 310. B. Demolitions. Demolition of all buildings is regulated by the Building Code currently adopted by the City of Wood Village. C. Design Review. Design review is required for all uses and developments except for single-family detached dwellings in light residential zones. See Section 630. Design Review is required for garages and storage buildings whether attached or detached. D. Parking and Loading. See Section 350. E. Planned Unit Development. See Section 360. F. Public Access. All lots in the district shall have frontage or approved access to public streets, public water and public sewer before construction shall be permitted. G. Sale or Conveyance Prohibited. No sale or conveyance of any portion of a lot, for other than a public purpose, shall leave a structure on the remainder of the lot with less than the minimum lot or setback requirements of the zone. H. Signs. See Section 370. The multi-residential zones are intended to preserve land primarily for multi-dwelling housing in a higher-density residential neighborhood environment. While some non-household living uses are allowed, they are regulated such that the overall character of the zones is not sacrificed. A. Uses Allowed Outright. The uses allowed in the multi-residential zones are shown in Table 220-1 by the letter “Y”. Uses are allowed if they comply with the development standards of the base zone and any additional regulations that apply to the use or the site. Additional regulations are listed in Section 300. B. Conditional Uses. The uses which are allowed upon approval through the conditional use review process are shown in Table 220-1 with the letters “CU”. These uses must meet the conditional use approval criteria, the development standards and any additional regulations stated in Section 300. C. Prohibited Uses. Uses shown in Table 220-1 with the letter “N” are prohibited in the zone. Legally established uses & development which existed at the time this Code was adopted and would otherwise be prohibited, are subject to additional regulations in Section 640 – Non-conforming situations. D. Limited Uses. Uses shown in Table 220-1 with the letter “L” are allowed subject to the following limitation. This regulation applies to all parts of Table 220-1 marked with a (1). Office uses in the Multi-Residential – 2,000 zone are limited to sites within 300 feet of a commercial zone. Otherwise office uses in the Multi-Residential – 2,000 zone are prohibited. Promote options for privacy for neighboring properties. Housing types are limited in the multi-residential zones in order to maintain and enhance the overall character of multi-dwelling neighborhoods. The housing types allowed are shown in Table 220-2, along with references to the additional regulations which are stated in Section 220.400 and Section 300. 220.320 Lot Size and Dimensional Standards. B. Exceptions to Minimum Lot Size & Dimension. In the MR4 & MR2 zones reductions to the minimum lot size & dimensions for detached single dwelling units may be approved through the variance process (see Section 660). (1) For multi family structures on sites which abut a MR, C or M zones the minimum side setback shall be 5 feet. For multi-unit structures on sites which abut LR zones the minimum side setback shall be 10 feet. (2) Percent site area. See Section 330 – Landscaping & Screening for landscape standards. (3) The minimum number of multi-family dwellings per net acre (.80) in the MR2 Zone is thirteen (13) dwellings. A. Required Setbacks. The setbacks for front, rear and side yards are stated in Table 220-3 & Table 220-4. Specific setbacks in Cottage Housing developments are described in Section 220-400. In addition, for new retail, office and institutional buildings, the provisions set forth in Section 235.345 Pedestrian Standards shall apply. B. Extensions into required building setbacks. A. Maximum Height. The maximum height for all structures is stated in Table 220-3 & Table 220-4. Projections allowed. Projections extending vertically for permitted buildings and uses such as skylights, steeples, flagpoles, chimneys, small-scale residential energy equipment, and radio and television aerials may be erected above the height limitations herein proscribed. Such structures shall not project more than 5 feet above the maximum permitted height. A. Building Coverage. The maximum combined building coverage on a site for all covered structures is stated in Table 220-3 & Table 220-4. Zero lot line attached single-family dwellings (two abutting dwelling units on separate lots) shall be allowed on minimum lot size provided for two unit dwellings in this zone district, providing the abutting or common wall to such units is located upon the common property line with each dwelling situated on its own lot of record, which shall be not less than 4,000 sq. ft. in area. In such event, the minimum lot size and yard requirements of this zone district shall apply to each abutting dwelling unit on each lot except that no yard or set-back shall be required to the common property line. A. Separate sewer service shall be provided for each family unit. B. Separate water service shall be provided for each family unit. C. Set-back requirements of the zone district shall apply except for the abutting common wall. D. Common walls shall comply with building code requirements therefore and meet a two-hour fire wall standard. E. That a separate ownership agreement reflecting a separate deed of record for each abutting unit be executed and placed of record prior to the issuance of building or occupancy permit, as the case may be. F. That the aforesaid separate ownership agreement include an easement understanding or “declaration of restrictions” containing the same, setting forth in form acceptable to the City, permission for entry by concerned parties upon all abutting properties and structures for the purpose of maintaining, servicing and repairing the common wall, with appropriate provisions for the enforcement of such right thereof in the event of a lack of understanding between the parties, which agreement shall provide that the same shall be legally binding in interest to said property. Such agreement will be executed by all parties in interest and placed of record prior to the issuance of building permit and/or occupancy permit for said property, as the case may be, by the City. G. That in all cases where application is made to the City for a building permit for zero lot line construction of two abutting single-family dwellings with common wall or in the event of application to the City for conversion of an existing structure to provide for two attached single-family dwellings with abutting common wall in place of a present multiple unit or duplex structure, public hearing shall be required before the Planning Commission and approval thereof obtained, provided, however, that the Planning Commission may delegate such hearing responsibility to the Design Review Board, which shall then make its recommendations to the Planning Commission which shall indicate its approval or disapproval thereof. A. Outdoor Area. A minimum of two hundred (200) square feet of recreation area shall be provided for each living unit for structures with 5 or more units. The recreation area may be in one or more locations on the site. Recreation buildings may be considered as a part of this requirement. Recreation areas shall not be located in required yards. A. The minimum site area devoted to landscaping may be computed to include any required landscaping imposed by Section 350 – Parking and Loading. B. Provisions shall be made for watering planting areas where such care is required for survival. C. Maximum height of selected tree species shall be considered when planting under utility lines. Fences up to 3 ½ feet are allowed in required front building setback and in the required side building setback to the depth of the required front setback. Fences up to 8 feet are allowed in required side and rear building setbacks, except for a corner lot side setback which is limited to 3 ½ feet. A. Accessory Home Occupation. See Section 310. C. Design Review. Design Review is required for all uses & developments except detached single-dwelling units in light residential zones. See Section 630. D. Parking and Loading. See Section 350.E. Planned Unit Development. See Section 360. I. Solid Waste, Mixed and Recyclables Storage is required for new multi-unit residential buildings containing five or more units. See Section 390. To provide opportunity for creative, diverse and high quality infill development that is compatible with existing neighborhoods. The development is designed with a coherent concept and includes: private and shared usable open space; off-street parking, access within the site and from the site, amenities such as a multipurpose room, workshop, garden, and a coordinated landscape plan. Cottage design incorporates classic cottage features or northwest style using quality materials. Common area maintenance is shared equally and assured by a recorded agreement of Codes, Covenants and Restrictions (C.C.& R.’s). Cottage Housing developments shall be separate from each other by at least 1,000 feet. Cottage Housing is a permitted use in the Multi-Residential zones MR2 and MR4 zones. Except that land zoned MR2 on NE Sandy Blvd. will not permit cottage housing because of the heavy commercial and industrial character of this area. A Cottage Housing development proposal is reviewed in accordance with the Design Review Standards of Section 630. If the proposal includes a land division, applicable land division standards of Section 450 also apply. These permits may be requested simultaneously. Review Criteria: Approval of a Cottage Housing Development shall be based upon evidence that the proposal meets the Purpose and Definition of Cottage Housing described above in Sections A and B.
D. Ownership: Cottage Housing developments are sited on one commonly owned parcel, or individual parcels may be created by subdividing the land with shared amenities owned in common. Cottages are for residential use only and may not be operated as transient accommodations. E. Size of Unit: The maximum square footage of each dwelling may not exceed 1,200 square feet. F. Number of Cottages Allowed: Two cottage housing units shall be allowed in place of each single-family home allowed by the base density of the zone. G. Maximum number of Cottages in a development: Cottage housing units shall be developed in clusters of a minimum of 4 units to a maximum of 12 units. H. Maximum Height: The height limit for all structures shall not exceed 18 feet. Cottage or amenity buildings having pitched roofs with a minimum slope of 6:12 may extend up to 30 feet at the ridge of the roof. I. Common Space: Cottage units shall be oriented around a central common space. The common open space must be at least 400 square feet per cottage housing unit. The common open space shall have cottage units facing at least two sides. Open space with a dimension of less than 20 feet shall not be included in the calculated common open space. J. Useable Porches: Each unit shall have a covered porch with an area of at least 80 square feet and a minimum dimension of 5 feet. The porches on at least half of the units shall face the common space. Building modulation with a depth measuring at least one foot. Structures shall be provided with substantial exterior trim elements consistent with traditional northwest cottage design and small home craftsmanship. Roofs shall have eaves to efficiently shed rain. Alternative trim and eave designs shall demonstrate coherent cottage design based upon traditional design principles and weather protection. Window and door trim shall be a minimum width of 3 ½ inches. Eaves of at least 12 inches shall be provided on at least two sides of each building, located on the longest parallel walls when the structure is not square. L. Private Ground Space: Each cottage housing unit shall be provided with a private use open space on the ground of at least 300 square feet with no dimension of less than 10 feet on one side. It should be contiguous to each cottage, for exclusive use of the cottage resident, and oriented toward the common open space. M. Separation of Structures: All structures shall maintain no less than 10 feet of separation within the cluster. However, a zero lot line on one side of each structure may be considered as long as the entire development uses the same zero lot line pattern. Eaves may project into the required separation up to 12 inches. N. Parking Requirements: There shall be at least one (1) off street parking space per dwelling unit. Setback a minimum of 5 – 20 feet from the street, depending on the orientation of the structure or lot. If the structure or lot is perpendicular to the street, that narrow dimension may be within 5 feet of the street. If parallel to the street the lot or structure must be at least 20 feet from the street. Clustered and separated from the common areas by landscaping and/or an architectural screen. Solid board fencing shall not be allowed as an architectural screen. Screened from public streets and adjacent residential uses by a landscaping and/or architectural screen, which shall not include a solid board fence. Parking structures should be limited in size to maintain the single-family building scale, with a maximum of six spaces per structure. P. Garages: Individual garages shall be located on the sides or rear of a cottage, or on an alley, and shall not be located in a front yard unless it is the only option. The face of a garage may only face a street if it has at least a five (5) foot increase in setback from that of the house foundation. Detached garages shall have a pitched roof with a slope of at least 6:12. Q. Setbacks: Setbacks for all structures from the property line shall be an average of 10 feet, but shall not be less than 5 feet, and not less than 15 feet from a public street. Zero lot line setbacks on one side of each unit may be considered. R. Maximum Lot Coverage: The total footprint of all structures shall not exceed 40% of the site area. Impervious surfaces shall not exceed 60% of the site area. S. Fences: All fences on the interior of the development shall be no more than 3.5 in height. Fences along the exterior of the development may be up to 8 feet in height, except as restricted by intersection clear vision standards. Chain link fences shall not be allowed. The commercial zones are intended to promote uses and development which improve the economic vitality of the commercial districts and the city as a whole. Limits on the intensity of uses combined with the development standards provide flexibility while enhancing the desired character of the commercial area. A. Neighborhood Commercial. This zone is intended for convenience retail and service establishments of limited scale to serve primarily the needs of local residents. Such uses shall be physically and visually compatible with adjacent residential development through appropriate use of landscaping, access, parking, signs and architectural design. This zone is intended to promote a compatible combination of small-scale retail commercial uses and medium to high-density residential uses along Halsey Street and Wood Village Blvd (between Arata Road and Halsey Street) where there is frequent transit service and a pedestrian-oriented streetscape. Uses are restricted in size to promote a local orientation and to limit adverse impacts on nearby residential areas. Housing options are expanded to encourage upstairs residences over storefront commercial, townhouses, and rowhouses with quality pedestrian access to transit and services. The regulations in this Section state the uses and development standards for the base zone only. Additional regulations may apply to sites with overlay zones, or specific uses. Section 300 states these additional regulations. The official zoning map indicates sites subject to overlay regulations. Special use regulations are referenced below. A. Uses Allowed Outright. The uses allowed in the commercial zones are shown in Table 230-1 by the letter “Y”. Uses are allowed if they comply with the development standards of the base zone and any additional regulations that apply to the use or the site. Additional regulations are listed in Section 300. Development in the NC Zone shall comply with the Neighborhood Commercial Design Standards in Section 230.390. B. Conditional Uses. The uses which are allowed upon approval through the conditional use review process are shown in Table 230-1 with the letters “CU”. These uses must meet the conditional use approval criteria, the development standards and any additional regulations stated in Section 300. Development in the NC Zone shall comply with the Neighborhood Commercial Design Standards in Section 230.390. C. Prohibited Uses. Uses shown in Table 230-1 with the letter “N” are prohibited in the zone. Legally established uses & development which existed at the time this Code was adopted and would otherwise be prohibited, are subject to additional regulations in Section 640 – Non-conforming Situations. D. Limited Uses. Uses shown in Table 230-1 with the letter “L” are allowed subject to the following limitations. This regulation applies to all parts of Table 230-1 marked with a (1). Manufacturing and Production and Wholesale Sales uses in the General Commercial zone are limited to 12,000 square feet. In addition, exterior storage and exterior work activities are prohibited. Where commercial uses adjoin a residential zone, the hours of operation of the commercial use may be limited by the Planning Commission or Design Review Board. 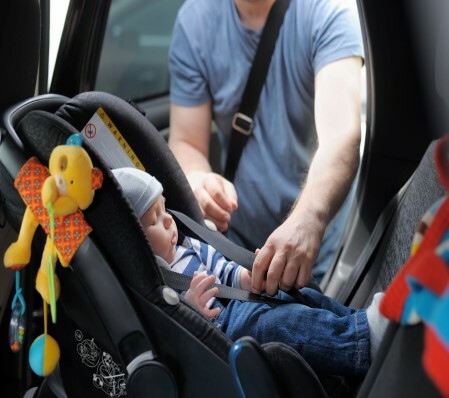 Uses which are accessory to the permitted uses are allowed if they meet the development regulations of the base zone, specific regulations for the accessory use and any additional regulations stated in Section 300. Typical accessory uses are included in Section 710 – Use Categories. Provide adequate flexibility to allow development, which is compatible with the existing area, fits the topography of the site and allows architectural diversity. Orient buildings close to streets to promote human-scale development, slow traffic, increase safety and encourage walking in neighborhoods. In the NC Zone comply with the Neighborhood Commercial Design Standards of Section 230.390. 230.310 Lot Size and Dimensional Standards. A. Minimum Lot Size & Dimension. There is no minimum lot size or dimension for development of land or creation of new lots in commercial zones. Creation of new lots is subject to the regulations of Section 450 – Subdivisions and Partitions. The lot size for all permitted or conditional uses shall be adequate to fulfill the applicable requirements stated below. (1) Mixed-Use Residential Commercial: Must be a compatibly designed combination of multi-family residential and ground floor commercial uses. Number of units permitted is determined by required building and fire codes, setbacks, parking, building height, landscaping and other site requirements. 3′ min. – 10′ max. (1) For commercial or residential uses there is no minimum lot area, lot width or lot depth. (2) Sites which adjoin a residentially zoned lot shall have side and or rear setbacks as prescribed in Section 335 Height Transition Standard. (3) Within boundaries of the development, a minimum of 5% of the site area shall be landscaped. (4) All street-facing elevations must have landscaping along their foundations including a 3’ wide bed with one 3-gallon shrub every 3 lineal feet, with ground cover over the remaining area. 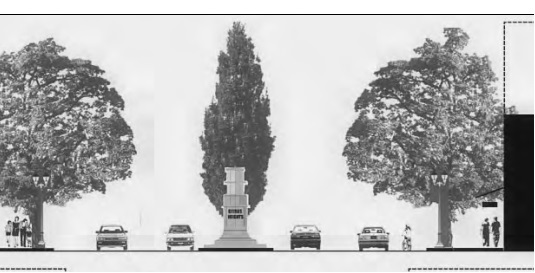 The minimum number of street trees required shall provide for there to be at least one (1) tree every 30 lineal feet along the entire length of the street, subject to other City regulations effecting placement. Trees shall be chosen from the City’s approved street tree list. (5) See Section 330 – Landscaping and Screening for a description of the landscape standards (i.e., L1, F2, etc.). A. Marijuana Facilities may be allowed, subject to a Conditional Use Permit pursuant to Article 620 of this Code, in the Neighborhood Commercial Zone. No Marijuana facility may be located within the City unless it satisfies all the requirements of this Code and provides evidence of all licensing required by State law. Marijuana facilities legally established pursuant to this Code shall not be found in conflict with the provision of this Code in the event that a conflicting land use locates in the vicinity of a facility subsequent to the facility obtaining land use approval from the City. Should such conflict arise, the marijuana facility shall be considered a legal nonconforming use and subject to provision set for in Section 640 of this Code. At the same address as a registered grow site. c. Within 1,000 feet of another marijuana facility. A. Required Setbacks. The setbacks for front, rear and side yards are stated in Table 230-2. Minor Projections Allowed. Minor features of a building such as eaves, chimney, bay windows, uncovered stairways and wheelchair ramps, uncovered decks or balconies, which are attached to the building may extend into a required building setback In addition, awnings, arcades and other architectural features, as well as benches, kiosks, service counters, tables and chairs, newspaper stands, flower and planter boxes are permitted to protrude into the front yard building setback area as long as they do not interfere with pedestrians or safety features on the sidewalk. A. Maximum Height. The maximum height for all structures is stated in Table 230-2. In addition, there is a minimum height of 18 feet or 1.5 stories for all new buildings on Halsey Street. Projections allowed. Projections extending vertically for permitted buildings and uses, such as skylights, steeples, flagpoles, chimneys, and radio and television aerials, may be erected above the height limitations herein proscribed. Such structures shall not project more than 5 feet above the maximum permitted height. Utility power poles are exempt from the height limit. C. Exemption to the Minimum Height. Sheds and accessory structures are exempt from the minimum height limit. The minimum site area devoted to landscaping may be computed to include any required landscaping imposed by Section 350 – Parking and Loading. Provisions shall be made for watering planting areas where such care is required for survival. Maximum height of selected tree species shall be considered when planting under overhead utility lines. Street trees shall be planted on all street frontages in accordance with City street tree guidelines. B. Landscape Buffer. A landscaped buffer shall be established and maintained in accordance with the dimensions stated in Table 230-2, the standards of Section 330 – Landscaping and Screening, as applicable, and the Neighborhood Commercial Design Standards. The requirements of 230.340(A)(2) & (3) apply to the landscape buffer as well. Covered Accessory Structures. All covered accessory structures, whether attached to the primary building or separated by a breezeway, shall fulfill the front, side and rear building setbacks and lot coverage requirements. These standards are stated in Table 230-2. Uncovered Accessory Structures. Uncovered, detached accessory structures such as signs, flag poles and lamp posts are allowed in the front building setback but not in a required setback from an abutting residential zone. All utility installations shall be located underground whenever feasible. 230.360 Exterior Display, Storage and Work Activities. A. Exterior Display. Exterior display of goods is allowed in the General Commercial zone and Neighborhood Commercial zone. The setback and landscaping standards for exterior display are stated in Table 230-3. B. Exterior Storage. Exterior storage is allowed in the General Commercial zone and prohibited in the Neighborhood Commercial zone. The setback and landscape standards for exterior storage stated in Table 230-3. C. Exterior Work Activities. Exterior work activities are prohibited in both the General and Neighborhood Commercial zones. Fences up to 3 ½ feet are allowed in required front building setback and in the required side building set back to the depth of the required front setback. Fences up to 6 feet in the NC zone are allowed in required side and rear building setbacks, except for a corner lot side setback which is limited to 3 ½ feet. A. Demolitions. Demolition of all buildings is regulated by the Building Code currently adopted by the City of Wood Village. The activity alters the exterior appearance of a structure, building or property. The activity involves changes in the use of a structure, building or property from residential to commercial or industrial. The activity involves a non-conforming use as defined in Section 640. The activity constitutes a change in a city-approved plan. 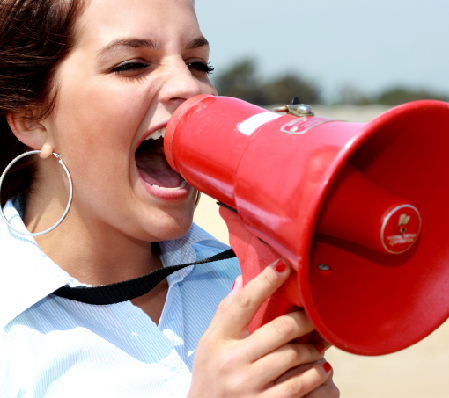 The activity is subject to design review by other requirements of this Code. C. Parking and Loading. See Section 350 for parking requirements. On-street spaces adjoining the site may count towards the commercial off-street parking requirement (assuming parallel parking is permitted on Halsey in the future). D. Public Access. All lots shall have frontage or approved access to public streets, public water and public sewer before development is allowed. Access to commercial sites shall be from the highest classified or capacity street. E. Sale or Conveyance Prohibited. No sale or conveyance of any portion of a lot, for other than a public purpose, shall leave a structure on the remainder of the lot with less than the minimum setback requirements of the zone. F. Signs. 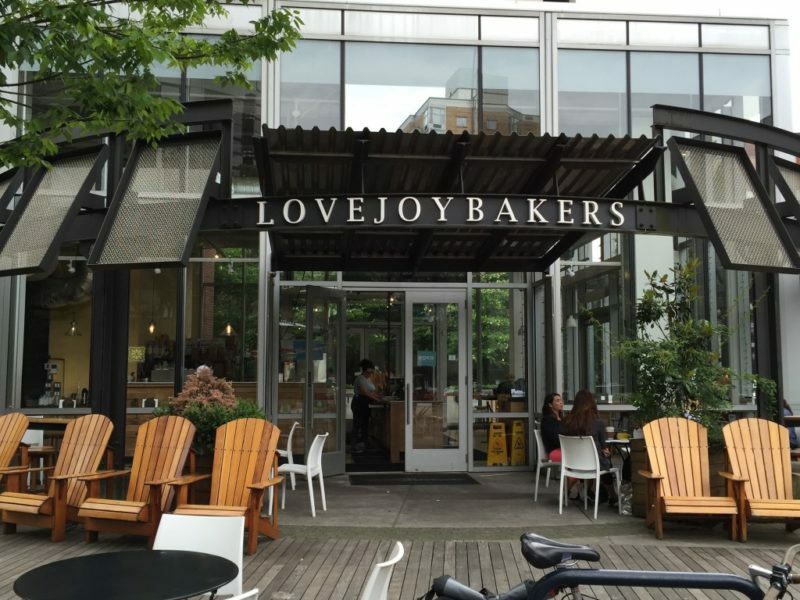 See Section 370 and the Neighborhood Commercial sign design standards in Section 230-390. G. Solid Waste, Mixed and Recyclable Storage. See Section 390. H. Uncontained hazardous materials are prohibited. I. Commercial Requirements in the NC Zone. Except for institutional uses all ground floor uses in the NC Zone shall be designated for commercial use. Applications for new development or significant remodeling of existing development in the Neighborhood Commercial (NC) zone shall demonstrate compliance with design standards contained in this section or demonstrate why a particular standard or standards do not apply. A. Enhance the sense of place and identity of Wood Village by incorporating site and building design features that respond to the area’s unique characteristics and traditions. Protect the heritage of Wood Village’s original worker cottages in the Original Village neighborhood. Remodel and redevelop using architectural details found in the original homes. In the Original Village neighborhood, continue the alignment of the roof ridge parallel to the street where it is the predominant roof form. Protect and plant groupings of Douglas Fir and other conifers and tall trees to help preserve the memory of the forest and enhance this special characteristic of Wood Village. Preserve and plant large trees to visually break up and screen large parking lots of 100 spaces or more. Respect the topography of the hills and ravines of Wood Village in the development of buildings and pathways. Keep streams above ground and not in culverts to preserve the viability of stream corridors and to protect surrounding vegetation, where feasible. B. Create an efficient, pleasant and safe network of sidewalks and paths for pedestrians that link destination points and nearby residential areas while visually and physically buffering pedestrians from vehicle areas. Provide safe, attractive, and convenient pedestrian connections and transitions from sidewalks to building entrances. Develop pedestrian connections in areas with constrained topography. It is particularly important to connect residential areas to commercial areas and transit areas. Provide space for the different activities that take place along sidewalks and walkways, such as outdoor dining, benches, kiosks and outdoor art. 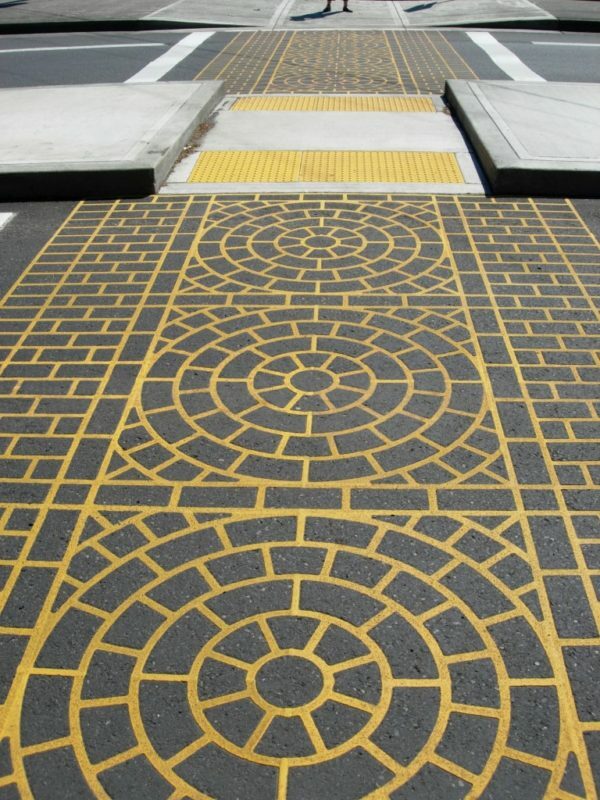 Use a variety of paving textures and patterns to separate motor vehicles, pedestrians and bicycles. Plant parking strips with shrubs and trees to buffer the sidewalk from the street. Place landscape features and street furniture between pedestrians and moving vehicles. 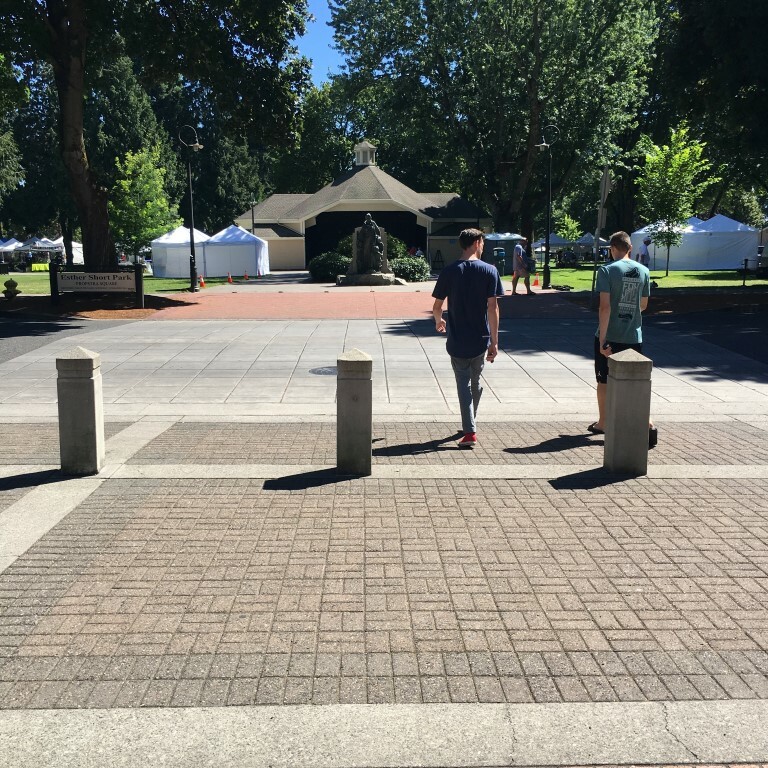 Install bollards along pedestrian paths to protect pedestrians from moving vehicles. C. Create a sense of enclosure and visual interest to buildings along sidewalks and pedestrian areas by incorporating small scale building design features, creating effective gathering places and differentiating street level facades. Differentiate between the building façade at the sidewalk level and the floors above in nonresidential and mixed-use developments. This acknowledges the varying uses in a building and allows treatment of the ground floor that is more scaled to pedestrians. Incorporate interesting details in residential buildings, such as porches and large street facing windows. Place building walls, columns, porches, balconies and trees to create a sense of enclosure within the pedestrian path. Locate active indoor uses in areas with ground floor windows adjacent to sidewalks and public places. Provide wind resistant awnings at building entrances and over sidewalks adjacent to storefront windows. Place display windows along pedestrian paths to invite window-shopping. 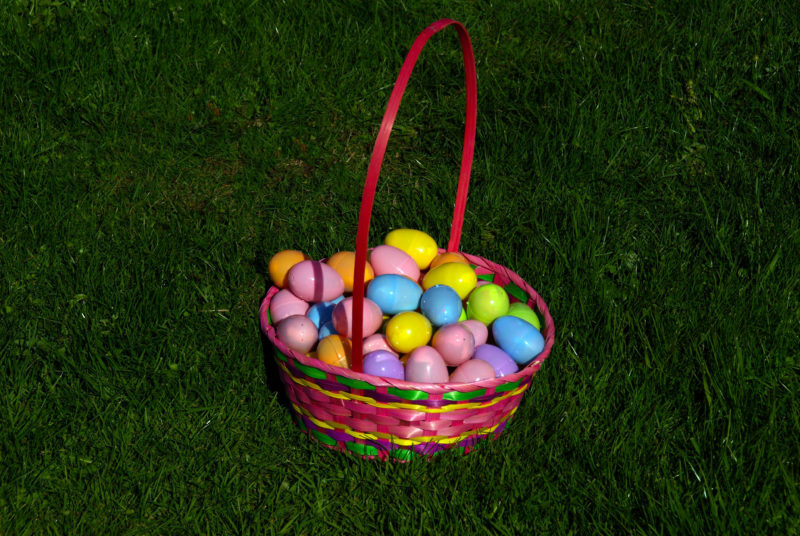 Incorporate interesting outdoor displays that are visible from the pedestrian path such as fruit and vegetable stands. Incorporate interesting building details and art features on the sidewalk level of buildings. Reduce building setbacks in the front yard to 3 – 10 feet to promote enclosure and visual interest. D. New large-scale projects should provide comfortable places along pedestrian circulation routes where people may stop, visit, meet and rest. Provide outdoor seating adjacent to restaurants and near takeout food places and sidewalk vendors. Incorporate seating opportunities in the design of planters and walls along pedestrian paths. Provide benches that are durable and impart a sense of permanence. Provide seating opportunities along pedestrian paths and near kiosks and other points of interest. E. Create intersections that are active, unified and have a clear identity through careful scaling detail and location of buildings, outdoor areas and entrances. Provide access to the interior of the building at the corner. Reinforce the intersection by placing the highest or most interesting portion of the building near the corner. Locate parking to the side or rear of the site and bring the building up to the corner. Parking lots on corner lots weaken the structure of the intersection. Connect the corners of an intersection with special paving material. 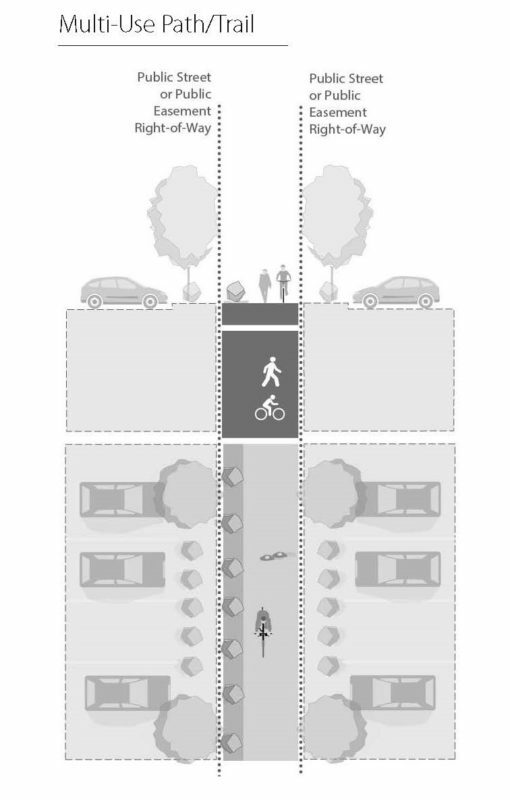 Extend curbs to shorten the distance across the street and create larger sidewalk area. Create spaces that promote sidewalk activities, such as small corner plazas oriented to receive maximum sunlight with places to sit and room for kiosks and street vendors. Provide seating, newspaper stands and other amenities near the corner. F. Enhance the comfort of pedestrians by locating and designing buildings and outdoor areas to control the adverse effects of sun, shadow, glare, reflection, wind and rain. Provide wind resistant weather protection for pedestrians at building entrances and over pedestrian paths such as arcades, canopies, porches and overhangs. Plant large trees along and near pedestrian paths to provide shade and reduce wind and rain. Use exterior materials and colors that prevent glare. 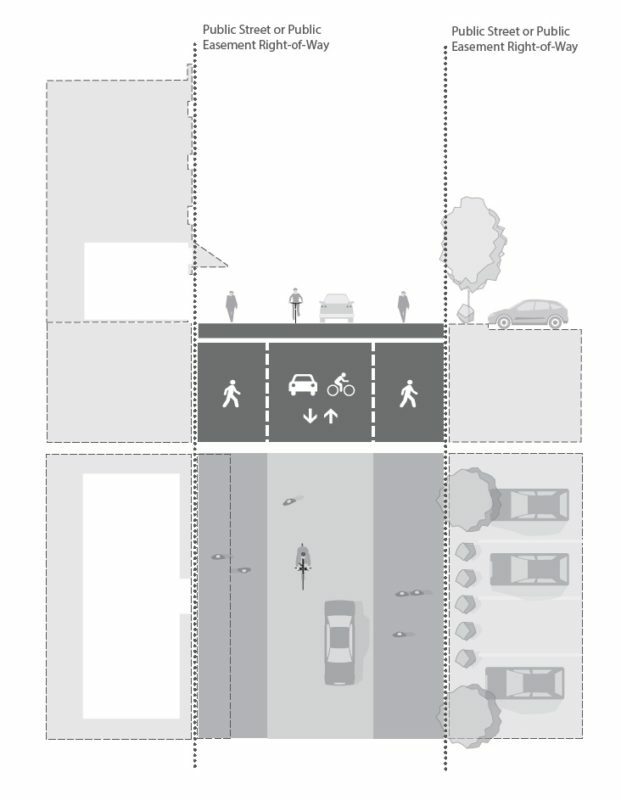 Design paths that protect pedestrians while still allowing light to reach covered areas. G. Make the main entrances to houses and buildings prominent, interesting, pedestrian-accessible and transit-oriented. Provide a front porch to shelter the front entrance and provide a transition from outdoor to indoor space. Emphasize the front entrance with an architectural element such as a portico, trellis or arch. Consider using elevation changes to make a more prominent entrance. Use architectural elements, massing and landscaping to accentuate the front entry. Provide a plaza or open area adjacent to the front entrance to mark the entrance and allow activities to happen in the transition from outdoors to indoor, if feasible. Connect the building’s main entrance to the sidewalk with a well-defined pedestrian way. Orient the main entrance toward the corner to increase visibility and access. Consider placing art or sculpture to frame the main entrance. H. Enhance site and building design through appropriate placement, scale and variety of landscape features. Preserve existing trees and incorporate them into the project design. Use plant materials to create transitions between urban development and adjacent natural areas and open spaces. Protect and plant street trees for shade, interest and to enclose the street and sidewalks. Use plant materials along sidewalks and walkways to define routes, buffer pedestrians from moving vehicles, create gateways and provide interest, color and texture. Use plant materials to soften and screen parking lots on both the perimeter and interior of the lot. Use a variety of plant materials visible to the public. Maintain existing grades and use grade treatments that are compatible with neighboring properties. Use plant materials to screen mechanical equipment. I. Use site design and building orientation to reduce the likelihood of crime through the design and placement of windows, entries, active ground level uses and outdoor areas. Provide a lighting system that includes pedestrian scale lights along walkways, energy-efficient porch and backyard lights that can be left on over time, and motion sensor lights that do not shine in rooms. Locate windows in active rooms and entrances to promote “eyes” on streets, plazas, and other shared outdoor areas. Keep front yard fences low and transparent, and eliminate barriers to visibility, such as high opaque fences, hedges or protruding attached garages. Orient entrances to public streets or to shared courtyards. J. All parts of a building should be interesting to view, of long lasting quality, and designed to form a cohesive composition. Use cast stone, brick, terra cotta, wood or like material, and other long lasting quality materials. T1-11, plain concrete or concrete block, corrugated metal, full-sheet plywood, sheet pressboard, synthetic stucco and prefabricated tilt-up concrete materials are prohibited, except as a secondary finish on up to 10% of the façade surface area. Use a variety of textures and colors in exterior finish materials. Incorporate details that add interest to buildings such as window treatments, brick detailing and ornamental banners. Use architectural details that embellish the design of buildings, such as decorative columns, cornices, full-length porches and partial basement garages. Use architectural details that embellish the design of buildings such as ornamental columns, decorative brackets and extensive use of trim to mark building edges and windows. Use windows that embellish the character of buildings. Use multi-paned vertical windows with wide trim to add interest. Divide large wall areas into distinct smaller planes that are more in keeping with the pedestrian scale. Incorporate varied roof lines and varied façade articulation to reduce monotonous building mass and roof lines and to increase architectural interest. Use materials and design features that promote quality and interest. Place signs that integrate with the scale, color and style of the building. Use monument signs, wall signs, window signs, neon signs, canopy and projecting signs attached to the building. The use of freestanding signs, electronic/video message center signs, backlit signs, roof signs and plastic face signs are prohibited. Signs that are permitted are subject to the City sign code. K. Integrate parking in a manner that is attractive and complimentary to the site and its surroundings. Locate parking in a manner that minimizes negative impacts on the community and its pedestrians. Design parking garage exteriors to visually respect and integrate with adjacent buildings and environment. Screen parking areas with landscaping, fences, walls or a combination. Use broad-spreading trees in parking lots. Install an adequate irrigation system to minimize the damage to parking surface caused by shallow roots. Encourage shared driveways to individual garages or parking pads. With shared driveways there is more space for landscaping and street trees along the sidewalk. Provide a clear pedestrian path that connects parking areas with destination points. 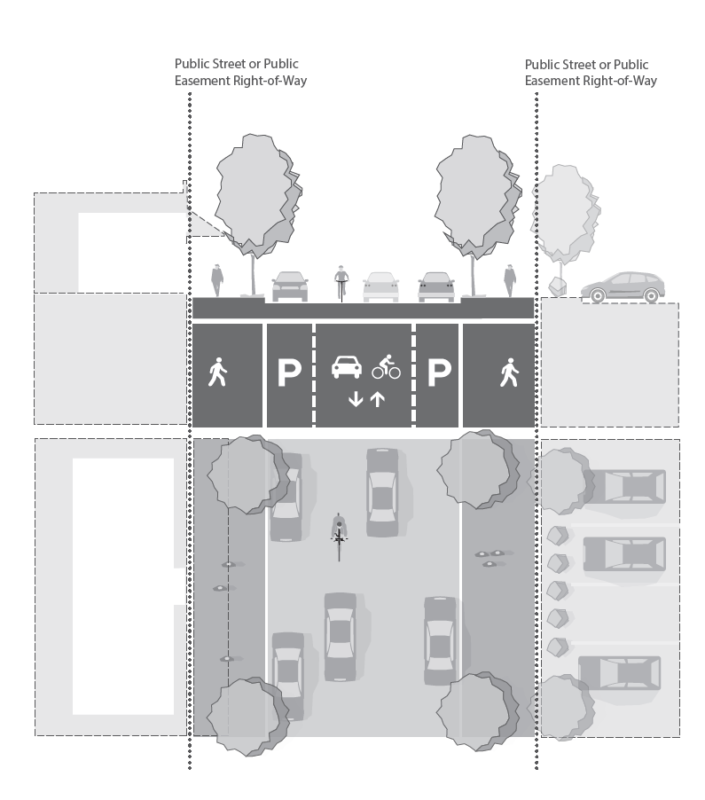 Locate parking to the side or rear so that the front yard is not dominated by the automobile and the resulting space allows people to participate with activities on the street. Use plant materials to break up large areas of parking. Locate parking where it has the least amount of impact on an area. Screen indoor parking from pedestrians with landscaping and decorative ironwork. This mixed use zone is specifically designed to encourage convenient living, working and shopping through a well-designed mixture of commercial, residential and employment uses. It is the policy of Wood Village that housing be built as part of the mix of uses within the Town Center and that open spaces and frequent pedestrian connections will be provided. The development standards provide flexibility while ensuring compatibility of adjacent uses. The zone encourages more dense housing within walking distance of commercial areas. The regulations in this section state the uses and development standards for the base zone only. Additional regulations may apply to sites with overlay zones, or specific uses. Section 300 states these additional regulations. Section 400 indicates sites subject to overlay regulations. Special use regulations are referenced below. A. Uses Allowed Outright. The uses allowed in the Town Center zone are shown in Table 235-1 by the letter “Y”. Uses are allowed if they comply with the development standards of the base zone and any additional regulations that apply to the use or the site. Additional regulations are listed in Section 300. B. Conditional Uses. The uses which are allowed upon approval through the conditional use review process are shown in Table 235-1 with the letters “CU”. These uses must meet the conditional use approval criteria, the development standards and any additional regulations stated in Section 300. C. Prohibited Uses. Uses shown in Table 235-1 with the letter “N” are prohibited in the zone. Legally established uses and development which existed at the time this Code was adopted and would otherwise be prohibited, are subject to additional regulations in Section 640 Non-conforming Situations. 1. Lodging Uses in excess of 10 acres, not including surface parking, shall be treated as a conditional use. 235.220 Limitations on Large Retail Uses. A. Purpose. The Limitations on Large Retail Use requirement promotes inclusion of office, light industrial or other permitted non-retail employment uses, and to provide employment opportunities in addition to retail employment in the commercial component of development in the Town Center zone pursuant to the City of Wood Village Vision Statement for 2030 (updated June 2017). No more than three retail uses with a floor area of more than 60,000 square feet (“big box development”) are allowed in the Wood Village portion of the Fairview-Wood Village Town Center. Lodging and entertainment uses shall not be limited by this provision. “Non-Retail Employment Uses” means Light Industrial, Medical Center uses, Office uses, Daycare, Personal Service-oriented uses, entertainment-oriented uses, lodging uses, and repair-oriented uses. Provide adequate flexibility to allow development which is compatible with the existing area, fits the topography of the site and allows architectural diversity. Provide adequate assurance of compatibility of adjacent uses within the mixed-use context, and compatibility between mixed-use development and adjoining existing uses. Comply with the Transportation Planning Rule and Regional Land Use and Transportation Goals. (1) Residential uses included in the same structure as non-residential mixed uses are regulated as part of the mixed use for purposes of these development standards. (2) For sites abutting a light residential zone or abutting right of way adjacent to a light residential zone, the maximum height is 25 feet within the first 25 feet from the lot line abutting the light residential zone. One additional foot in height is permitted above 25’ for each two (2’) feet in lateral distance up to the height limit for the zone. Lateral distance is measured from the light residential lot line and may include the right of way. (3) Sites abutting a residential zone shall have a side or rear building setback of 15 feet from the residential zone. (4) For sites abutting a residential zone, the entire depth of any required setback from the residential zone shall be landscaped. (5) This note applies to detached single-family dwelling units: garages shall not be closer to the street than the plane of the street-facing façade. For the purpose of this subsection, porches may be considered as part of the street-facing façade. 235.310 Lot Size and Dimensional Standards. A. Minimum Lot Size & Dimension. The minimum lot size standards are set forth in Table 235-2 Development Standards in Town Center Zone. Creation of new lots is subject to the regulations of Section 450 – Subdivisions and Partitions. The lot size for all permitted or conditional uses shall be adequate to fulfill the applicable requirements stated below. A. Required Setbacks. The setbacks for front, rear and side yards are stated in Table 235-2. Minor Projections Allowed. Minor features of a building such as eaves, chimney, open fire escapes, bay windows, uncovered stairways and wheelchair ramps, uncovered decks or balconies, which are attached to the building may extend into a required building setback by no more than 20% of its depth. However, they may not be within 3′ of a lot line. A. Maximum Height. The maximum height for all structures is stated in Table 2 35-2. Projections allowed. Projections extending vertically for permitted buildings and uses, such as skylights, steeples, flagpoles, chimneys, and radio and television aerials, may be erected above the height limitations herein prescribed. Such structures shall not project more than 5′ above the maximum permitted height. A. Purpose. Floor Area Ratios (FAR) provide a means to match the potential density of uses with the desired character of the area and provision of public services. B. FAR Standard. Floor Area Ratio is defined as the amount of Floor Area in square feet divided by the amount of Net Land Area in square feet (see definitions in Section 720.030). A Development Plan in the Town Center zone shall show that a minimum 0.4 FAR can be achieved on the areas of the site to be developed with non-residential uses at full build-out. To do so, the development plan can rely on conceptual future phases of development. C. Adequacy of Services. The Development Plan must demonstrate that the transportation system is adequate or can be made adequate for development proposed for implementation within a two year period. A. Computation. The minimum site area devoted to landscaping may be computed to include any required landscaping imposed by Section 350 – Parking and Loading. B. Watering. Provisions shall be made for watering planting areas where such care is required for survival. C. Maintenance. Required landscaping shall be continually maintained. D. Height of Trees. Maximum height of selected tree species shall be considered when planting under overhead utility lines. A. Types of Fences. The fencing standards apply to walls, fences and screens of all types whether open, solid, wood, metal, wire, masonry or other material including vegetative materials. Fences up to 3 ½ feet are allowed in required front building setback and required side building setbacks to the depth of the required front building setback. Fences up to 8 feet are allowed in required side and rear building setbacks except for corner lot side setback which is limited to 3 ½ feet. The location of fences shall not interfere with the pedestrian circulation system. A. Covered Accessory Structures. All covered accessory structures, whether attached to the primary building or detached, shall fulfill the front, side and rear building setbacks requirements, lot coverage and height restrictions. These standards are stated in Table 235-2. B. Uncovered Accessory Structures. Uncovered, detached accessory structures such as signs, flag poles and lamp posts are allowed in the front building setback but not in a required setback from an abutting residential zone. 235.380 Exterior Display, Storage and Work Activities. A. Exterior Display. Exterior display of goods is allowed for commercial uses only. The setback and landscape standards for exterior display are stated in Table 235-3. B. Exterior Storage. Exterior storage is prohibited. C. Exterior Work Activities. Exterior work activities are prohibited except for restaurants, plant nurseries, entertainment and recreation uses and outdoor markets. D. Paving. All exterior display and work areas, except plant nurseries, shall be paved. Note: For description of the landscape requirements (i.e. L3, F2, etc. ), see Section 330 – Landscaping & Screening. (The requirements of Section 350 apply except as modified in an approved Development Plan. Shared Parking. In addition, parking requirements in the Town Center zone may be met by blending parking rates. Calculating parking stalls for a use may include counting adjacent on-street spaces, nearby public parking, cross-patronage, and shared parking possibilities due to variation in hours of operation and as per Section 350.045(5). Designation on an approved Development Plan for shared parking shall satisfy the Joint Use Parking requirements of Section 350.045(5). Interim Parking. In early development phases, portions of the property set aside for non-residential uses at full build-out may be used for parking associated with uses built in early phases. However, no restrictions shall be placed on the property set aside for future non-residential use that will prevent development of those future uses. Interim parking sites shall comply with design requirements at designated Required Landscape Building Frontages. B. Public Access. All lots shall have frontage or approved access to public streets, public water and public sewer before development is allowed. Vehicular access to commercial uses shall be as designated in Figure 235-1 and as provided in Table 235-4. C. Sale or Conveyance Prohibited. No sale or conveyance of any portion of a lot, for other than a public purpose, shall leave a structure on the remainder of the lot with less than the minimum setback requirements of the zone. D. Signs. 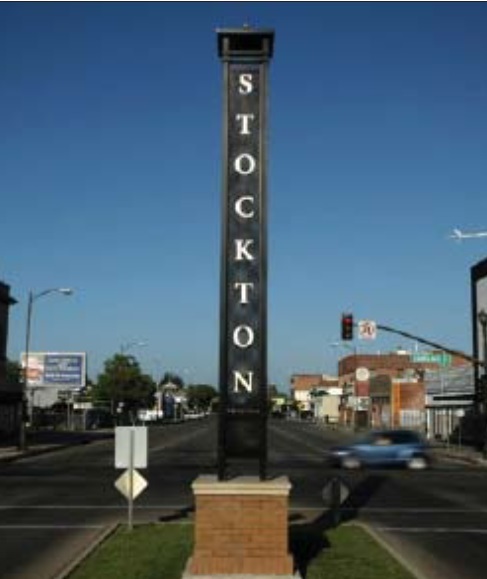 Signs in the Town Center shall be approved and constructed in accordance with Section 370 Signs, except that freestanding signs in the Town Center Zone must be either a Wood Village Town Center sign, or a center-wide directory-type freestanding sign. Individual building pads may not erect a freestanding sign that advertises only their business. E. Solid Waste, Mixed and Recyclables Storage. See Section 390. F. Uncontained hazardous materials are prohibited. G. Demolitions. Demolition of all buildings is regulated by the Building Code currently adopted by the City of Wood Village. H. Design Review. Design Review is required for all uses in this mixed use zone. (See Section 630). In addition to the Design Review requirements, the Design Review Board shall review all specific development applications within a Development Plan to ensure that the site designs and building locations encourage safe and convenient pedestrian and bicycle access; are reasonably accessible to transit; and provide adequate pedestrian connections to exterior streets and to other uses within the Development Plan area through clustering of buildings, construction of accessways and walkways or other similar techniques. 235.410 Concept Plan Regulating Diagram. A. Purpose. The Concept Plan Regulating Diagram organizes each street (both existing and future streets) into one of 5 street or path types: Town Center Main Street, Town Center Local Streets, Universal Streets, Service Streets and Multi-Use Paths or Trails. Note that their exact alignment may vary by up to 100 feet from the locations shown on the diagram, provided that they fully connect/intersect with each of the streets and intersections as shown. See Section 235.430 Town Center Street and Path Types for details regarding cross section designs for each street type. B. Utilization of Diagram. The Building and Façade Standards by Street Type Table 235-5 outlines the building and façade standards applicable to individual parcels, and is organized by street type. Parcels must comply with the standards for the street type on which the parcel fronts. Parcels with multiple street frontages (corner parcels, for example) must prioritize compliance with the applicable frontage requirements as provided in Section 235.450. Table 235-5 addresses requirements for street frontage, ground floor heights, transparency, primary entry doors and weather protection. 235.420 Concept Plan Regulating Diagram (Figure 235-1) Development Standards. Required Intersection Type 1. Required Intersection 1 and exact street locations of new Streets or Paths may vary by up to 50 feet from locations shown, provided they comply with the illustrated intersections and connections. See Section 235.430 Town Center Street and Path Types and Table 235-5 Building and Façade Standards by Street Type for requirements. Required Intersection Type 2. Required Intersection 2 and exact street locations of new Streets or Paths may vary by up to 100 feet from locations shown, provided they comply with the illustrated intersections and connection. See Section 235.430 and Table 235-5 for requirements. The line representing the Required Building Frontage and Required Landscape Frontage is the same as the Public Street or Public Easement as defined by the requirements of Section 235.450. See Table 235-5 for Building Frontage requirements. See Table 235-5 for Landscape Frontage requirements. C. Required Street and Path Types. See Section 235.430 for Town Center street and path type descriptions and street cross sections. Where a Multi-use Path or Trail connects from the Town Center Main Street to NE Park Lane, a Universal Street type is permitted for any portion of its length. All pathways not tied to designated intersection locations have flexible locations that may be relocated to accommodate topography, desired connection points and construction feasibility. The Concept Plan Regulating Diagram lays out the basic requirements of streets and intersections but does not limit the ability of a developer to add additional streets, intersections, paths, plazas, driveways, or other features to complement the requirements set forth in the regulating diagram. Where a street alignment extends to a property boundary but no existing street is present to which to connect at the time of development, a corridor of appropriate width shall be reserved to accommodate future construction of the street. Non-vehicular access may be provided in the interim period. Gateways are required as shown in Figure 235-1. See Section 235.470 for applicable requirements. Gateways shall not be permitted within any Multnomah County right of way. Public Plazas are required as shown in Figure 235-1 subject to the provisions of Section 235.455. The requirements of this Section are subject to the Modification provisions in Section 235.490.C.(3). 235.430 Town Center Street and Path Types. A. Purpose. 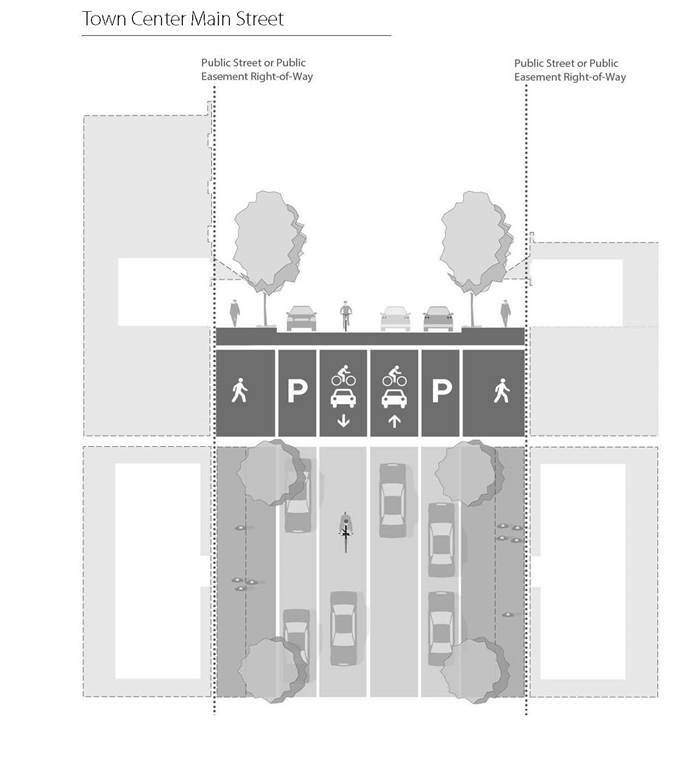 The purpose of the street and path types in this section is to facilitate each street in creating an ordered and well-designed public realm, an inviting environment for pedestrians, and a functional environment that supports connectivity and development throughout the Town Center. The Street and Path Types reinforce the unique character of each street type of Figure 235-1. B. Town Center Main Street. 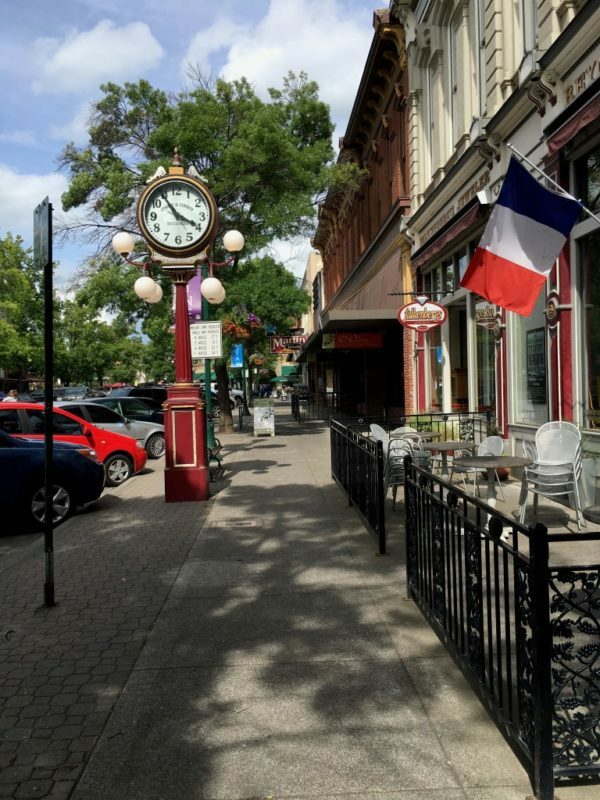 A traditional main street with on-street parking that prioritizes access to commercial activity for people on foot or bicycle as well as local vehicular trips. Main streets are an important component of the Town Center street and path network. It may accommodate high frequency bus service. C. Town Center Local Street. Local streets are focused on bicycle, pedestrian and local vehicular connectivity and are an important component of the Town Center bicycle network. 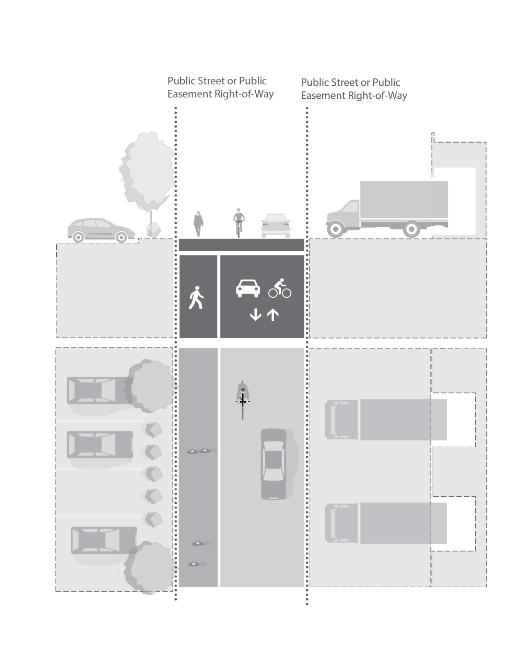 D. Universal Street: Universal streets prioritize bicycle and pedestrian mobility and provide pedestrian and local internal vehicular connectivity. Universal streets are an important component of the Town Center bicycle network. E. Service Street: These streets prioritize business access for freight and deliveries. As a minor role they provide bicycle, pedestrian and local vehicular connectivity. F. Multi-use Path / Trail: Prioritizes access and connectivity for people on foot and on bicycles; the trail and multi-use path system is an important component of the Town Center bicycle network. 235.440 Building and Façade Standards. A. Purpose. The building and facade standards encourage a safe, attractive and usable pedestrian circulation system, and ensure a direct and pleasant pedestrian connection between the street and buildings on the site. This section is intended to provide detailed, human-scale design that is characteristic of Wood Village, while affording flexibility to use a variety of architectural building styles. B. General Standard. All new buildings and major remodels shall meet the standards of these subsections which are applied through Design Review. The applicant demonstrates that the standards are met by complying with the criteria under each standard, including the standards in Table 235-5, subject to the provisions for development sites with multiple street frontages in Section 235.450.A. C. Transit Stops. New commercial, residential, lodging, entertainment, industrial or institutional uses adjoining a transit route shall provide a pedestrian connection to an existing transit stop, or to a new proposed transit stop with appropriate pedestrian amenities as required and approved by the City, in cooperation with Tri-Met. On lots at major transit stops, as defined in the Transportation Planning Rule, buildings shall be located within 20 feet of the transit stop, a transit street or an intersecting street or provide a pedestrian plaza at the transit stop or street intersection. D. Building Materials: Natural materials that promote a Pacific Northwest aesthetic such as heavy timber, wood or stone shall be the primary exterior siding materials. Developers are also encouraged to use reclaimed or new brick, cultured stone, or other rapidly renewable resources. Unfinished metal siding, corrugated sheet metal, vinyl siding, T1-11 siding or plywood, opaque or highly reflective glass (i.e. providing very low or no transparency from the building exterior side) are prohibited. Whenever possible, use energy efficient building materials in accordance with LEED Certification standard. Buildings 18 feet or less in height must have a cornice at least 12 inches high. Buildings greater than 18 feet and less than 30 feet in height must have a cornice at least 18 inches high. Buildings 30 feet or greater in height must have a cornice at least 24 inches high. If the equipment is a satellite dish or other communication device, it is added to the façade of a penthouse that contains mechanical equipment, is no higher than the top of the penthouse, is flush mounted, and is painted to match the façade of the penthouse. Solar panels are exempt from this standard. A. The Required Building Frontage and Required Landscape Frontage is the same on the Public Street or Public Easement as defined by the requirements of Section 235.420. B. Where specified, the applicable façade of a building (or landscape screening) is required to be located at the Required Building Frontage line for a percentage of the linear distance between the centerlines of the nearest perpendicular streets or paths. Where a Required Building Front Line occurs on a curved segment of a street, path or plaza, the required frontage shall be measured as the linear dimension of the chord. C. See Figure 235-1 for further Building Frontage requirements. c. Secondary Street or Frontage: Public Plaza and all other streets or paths, including NE Wood Village Boulevard, NE 223rd Avenue, NE Arata Road, and NE Glisan Street. The development shall meet the Required Building Frontage on the Primary Street. The remaining perimeter of the lot shall meet the applicable Required Landscape Frontage. Sites bounded by Secondary Streets or Frontages. Where no Primary Frontage exists, then the Primary Frontage is defined as the edge adjacent to the Secondary Street. Primary Street Frontage wraps the corner. On corner sites, the building shall meet the Required Building Frontage on the Primary Street. On the Secondary Street the same frontage requirement shall apply to 50 feet from the corner where the Primary Street meets the Secondary Street. The remaining perimeter of the lot shall meet the applicable Required Landscape Frontage. Resolving Frontage Conflicts. At a proposed developed site or block that has more than one Required Building Frontage per Figure 235-1, if it is impractical to meet that requirement on all of the Required Building Frontages, building siting and public entrance locations shall be designed to prioritize compliance in the following sequence: Public Plaza, Town Center Main Street, Collector (Wood Village Boulevard), Town Center Local Street, Town Center Universal Street, Town Center Service Streets. No Frontage on a Street or Path. Where development does not abut a Primary or Secondary Street or Path, the development shall meet the development standards for side and rear yards as applicable. D. Landscape Frontage. The land between a building and a street shall be landscaped to at least the L1 level or hard-surfaced for use by pedestrians. This area may be counted towards any minimum landscaped area requirements. See Figure 235-1 for further Landscape Frontage requirements. E. Ground Floor Residential. Where a dwelling is located on the ground floor, vertical or horizontal separation shall be provided to ensure privacy for residents and maintain quality of the public realm. The required separation applies to the distance between the street, path or plaza and the residential entryway (and any habitable rooms). Horizontal separation may take the form of a landscaped or hardscaped area such as a forecourt or dooryard. Vertical separation may take the form of several steps or a ramp to a porch, stoop or terrace. F. Primary Entrance. All buildings shall have at least one primary building entrance (i.e., dwelling entrance, a tenant entrance, lobby entrance, or breezeway/courtyard entrance) facing an adjoining street (i.e., within 45 degrees property line), or if the building entrance is turned more than 45 degrees from the street (i.e., front door is on a side elevation), the primary entrance shall not be more than 20 feet from a street sidewalk, except to provide pedestrian amenities; a walkway shall connect the primary entrance to the sidewalk in this case. Every building shall have at least one primary entrance that does not require passage through a parking lot or garage. G. Corner buildings (i.e., buildings within 20 feet of a corner as defined by the intersecting curbs) shall have corner entrances, or shall provide at least one entrance within 20 feet of the street corner or corner plaza. H. Each entrance shall be covered, recessed, or treated with a permanent architectural feature in such a way that weather protection is provided. I. Transparency is measured by total area of all ground floor windows divided by the overall lineal footage area of the ground floor façade. The majority (greater than 50% of the requirement) shall be between 2’ and 10’ above ground level. A. Plazas shall be developed in accordance with Section 235.410 (Concept Plan Regulating Diagram). The purpose of a plaza is to provide a recognizable open space area accessible to the public at a prominent location within the Town Center. B. Plaza locations may be proposed other than as illustrated conceptually in Figure 235-1. An alternative location adjacent to, visible from, and directly accessible from Wood Village Boulevard or a Town Center Main Street, a Town Center Local Street or a Universal Street, shall be processed through a Type 1 approval procedure. C. A plaza should contain a minimum area of 14,500 square feet at full build out. For phased developments the plaza may be built in segments of not less than 4000 square feet. D. A plaza should include human-scale comfort and interest features such as furniture, water fountains or other water features, landscape plantings, covers to provide shade and weather protection, art, play structures, or similar amenities. E. Location and visibility. The surface of all pedestrian plazas must be visually and physically accessible from a designated street. Allowances may be made for sites with steep topography. F. Surface. Paved walking surfaces must be provided. At least ten percent of the plaza area must be landscaped. The landscaping must be planted and maintained according to Section 330. Landscaping shall not block visual access to the pedestrian plaza. Seating shall be provided in all public plazas. Tops of walls and steps may be considered seating if designed to accommodate this function. Southern locations are encouraged to allow direct sunlight to enter the space and strike the plaza floor. Public plazas shall be designed to allow some direct sunlight to enter the plaza. Public plaza landscaping shall be designed in a manner that does not block the entrance of direct sunlight. Plaza Enclosure. All public plaza edges must meet applicable development standards in Table 235-4. K. Uses in Public Plazas. Permitted Uses. 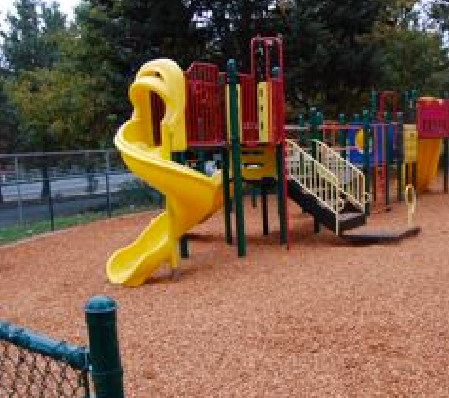 Playground equipment, fountains, waterfalls, pools, sculptures, works of art, arbors, trellises, benches, trees, planting beds, trash receptacles, drinking fountains, bicycle racks, open air cafes, kiosks, vending carts, outdoor furniture, lighting, flagpoles, temporary exhibits, canopies, awnings, and similar uses which encourage pedestrian use of these spaces. Allowed Motor Vehicle Use. Motor vehicle use of public plazas for passenger drop off and pick up at plaza edge. All other loading or motor vehicle access is prohibited. The Development Plan shall identify specific locations, such as public plazas, where mobile food carts or vendors will be allowed, not allowed, or allowed subject to certain limitations or restrictions set out in the Development Plan. Within a public plaza or other open space area, land areas in which mobile food carts or vendors are allowed shall be considered open spaces for the purpose of satisfying applicable open space area requirements, whether expressed as an area figure or a site percentage. B. By entering into an agreement with the City that assures maintenance of the open space areas, or leasing or conveying title (including beneficial ownership) to a corporation, homeowners’ association or other legal entity. The terms of such lease or other instrument of conveyance must include provisions for maintenance and property tax payment acceptable to the City. The City, through conditions of approval, may also require public access be provided where the open space is deemed necessary, based on impacts of the development and to meet public recreational needs pursuant to the Comprehensive Plan. A. Purpose. “Gateways” refers both to entrances into the City or individual districts and to design techniques for public spaces that help people identify where they are in the community and how to get around. Gateways signify a change in development character and style, as well as help promote a sense of place and community identity. 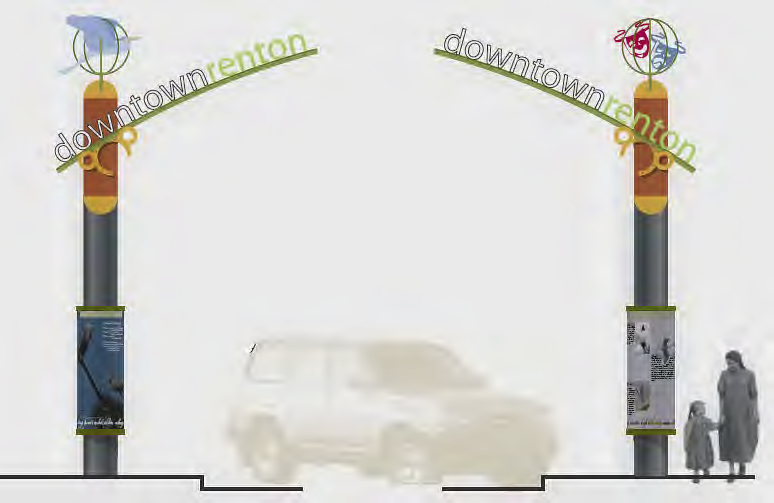 Gateways should be developed at key entrances into the Town Center as a way of establishing identity and to reinforce the unique character of the Wood Village Town Center, to greet visitors and welcome residents home. Wayfinding techniques such as landscaping, street design and special signage also help users establish where they are and where they are going. Wayfinding Signage and Functional Markers. To encourage a flexible, creative response to the zoning code, gateway requirements are offered as a menu of options. Each property adjacent to a required gateway or upon which a required gateway is located, must provide, at a minimum, one of the following gateway structures or treatments. The images included are provided for illustrative purposes only, and are not intended to be literally interpreted as standards or guidelines. Description An overarching structure which spans over the street or path. Description An iconic vertical structure located within the center of the street or path right-of-way or easement. 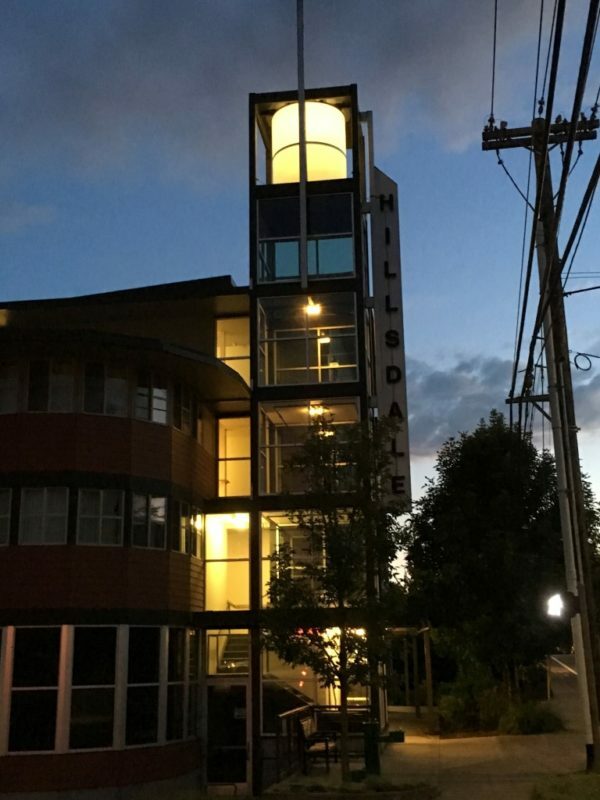 Description Buildings that have a distinctive architectural feature or form that serve as an identifiable landmark for a neighborhood or district. Gateway buildings often have distinctive forms focused around intersections and corners, such as prominent corner entrances, chamfered corner entrances, cupolas, extensive transparency and overall height. Description Gateways can be marked at or close to the ground plane through distinctive paving, bollards, and low-height landscape treatment (or a combination of features) that marks a cross path and establishes a boundary. Description An iconic vertical structure located at one or both sides of the street or path right-of-way or easement. Description Wayfinding signage and functional markers contribute to a well-designed streetscape, helping to orient, direct and inform, as well as add character to a particular neighborhood or district. Wayfinding signage and functional markers include words, graphics, or maps that provide information about a place and help visitors navigate their surroundings. Wayfinding signage provides information about nearby amenities or points of interest, and helps direct pedestrians to places they are trying to go. C. Signs. Any signs placed on gateways must meet the requirements of Section 235.400.H. and Section 370 of this Code. A. Regional Transportation Plan Standards. After Metro adoption of Regional Transportation Plan amendments, applications for design review (or for land division for developments not requiring design review) must demonstrate compliance with any applicable requirements of the Regional Transportation System Plan or any applicable Transportation System Plan. Demonstration of compliance must include a showing that adopted level of service standards are met for each proposed phase of development. B. Transportation Impact Analysis. For each development proposal that exceeds the Analysis Threshold or that may have an impact on the surrounding transportation system as described below under section (D)(a), the application for land use or design review approval shall include a Traffic Impact Analysis as required by this code. The Traffic Impact Analysis shall be based on the type and intensity of the proposed land use change or development and its estimated level of impact to the existing and future local and regional transportation systems. The scope of the study will be set by the jurisdiction with authority of the road in cooperation with the applicant and the City. Throughout 235.480, the phrase City Manager or designee is utilized to identify responsible parties. Throughout this section, Multnomah County is recognized to retain jurisdiction on all roadways under their ownership and maintenance. C. Engineer Certification. The Traffic Impact Analysis shall be prepared and certified by a traffic engineer or civil engineer licensed in the State of Oregon. a. A Traffic Impact Analysis is required when the proposed development is projected to generate more than 1,000 average weekday vehicle trips (vpd), or the proposed development’s location, proposed site plan, or trip generation characteristics could affect traffic safety, access management, street capacity, or other known traffic deficiencies in the vicinity of the site. b. A Traffic Impact Analysis or some elements of a Traffic Impact Analysis may be required when the volume threshold under subsection a. is not met, if a jurisdiction with authority over an abutting roadway provides written notice to the City identifying how its facilities would be significantly affected by the proposed development. E. Study Area. The Traffic Impact Analysis shall evaluate the Area of Influence of the proposed development and segments of the surrounding transportation system where users are likely to experience a change in the quality of traffic flow, and may specifically include access ramps and facilities on Interstate 84 (I-84). Analysis of I-84 shall be provided to the Oregon Department of Transportation for review and comment. The City Manager or designee may identify additional locations for study if existing traffic operation, safety, or performance is marginal or substandard. Prior to report preparation, the applicant shall submit the proposed scope and analysis assumptions of the Traffic Impact Analysis. The City Manager or designee shall determine whether the scope and analysis assumptions are adequate, or on a County facility, Multnomah County or other qualified party will provide all scope and evaluation functions required in this section Traffic Impact Analysis. a. Executive Summary. An Executive Summary of no more than three single-sided pages shall be included at the beginning of the Traffic Impact Analysis report. The Executive Summary shall summarize the analysis and conclusions and identify recommended transportation improvements. Intended use of the site, including the range of uses allowed without additional land-use approvals. Street system including street names and functional classifications. Freight access and loading areas. (a). Existing traffic shall be measured within the previous twelve months. (b). Traffic volumes shall be based on traffic data provided by the applicant to the extent required by the County. In addition, data shall be provided for weekends if weekends are the peak traffic period for either the existing street or the proposed development. (c). Seasonal variations in traffic volumes shall be considered. Existing intersection performance indicators including volume-to-capacity ratio and control delay. Transit information including stop and shelter locations, route numbers, headways, passenger loading, pull outs, and times of service. Bicycle ways, sidewalks, and accessways. Collision data for the most recent three-year period for which collision data is available. d. Traffic Forecasts. The Traffic Impact Analysis report shall provide forecasts of future traffic and I-84 interchange capacity within the Area of Influence and any additional locations previously identified by the City Manager or designee. Traffic forecasts shall be provided for both the Buildout Year and the Long-Range Forecast Year. The report shall include complete documentation of trip generation calculations including Institute of Transportation Engineers (ITE) Trip Generation (latest published edition) use code(s) or an alternative basis of trip generation and the rationale for using the alternative. Buildout Year Analysis. Buildout Year forecasts shall be Total Traffic at the time of anticipated completion and occupancy of each phase of the development and at the time of completion and occupancy of the entire development. The City shall provide traffic information on other developments to consider in the calculation of Added Traffic. Long-Range Forecast Year Analysis. The Traffic Impact Analysis shall include a capacity analysis of the potential worst- case long-range impacts to the local transportation system. The forecast year shall be approved by the City Manager or designee. Traffic Forecast Capacity Analysis Assumptions. (a). Trip generation. Estimates of the proposed development’s trip generation shall be made for peak period traffic. Selection of the peak period used in the analysis shall be justified and shall consider, at a minimum, the peak period for the proposed development and the peak period for surrounding streets. The City Manager or designee may require review of other time periods based on known or anticipated marginal or substandard traffic capacity or traffic safety. Trip generation estimates shall be based on ITE’s Trip Generation (latest published edition). The City Manager or designee may approve different trip generation rates when trip generation rates are not available in ITE’s Trip Generation or different rates are justified. (b). Trip distribution and assignment. Traffic generated by the proposed development shall be logically distributed and assigned to the street system within the Area of Influence and any additional locations previously identified by the City Manager or designee. 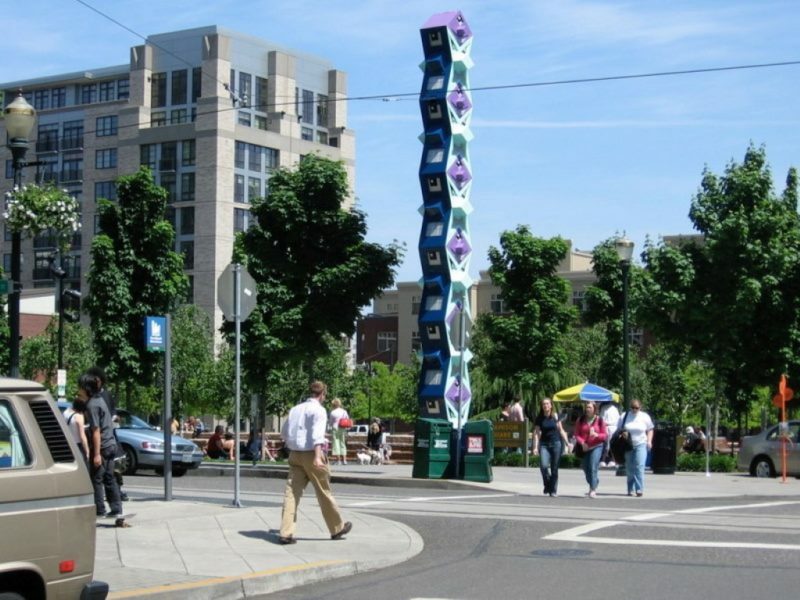 Trip distribution and assignment shall be based on trip distribution information from Multnomah County, ODOT, or Metro, on analysis of local traffic patterns based on data less than 12 months old, or on alternative data approved by the City Manager or designee. Intersection and Highway Interchange Analysis. Intersection and highway interchange analysis shall conform to the method for operations analysis described in the Highway Capacity Manual 2000 published by the Transportation Research Board. Analyses on ODOT facilities shall use ODOT’s Analysis Procedures Manual (https://www.oregon.gov/ODOT/TD/TP/pages/apm.aspx). The City Manager of designee may approve an alternative analysis method. The analysis shall document that the impacts of queuing from adjacent intersections or traffic restrictions has been addressed. e. Traffic Impacts. The Traffic Impact Analysis shall evaluate access, safety, operation, capacity, circulation, level of service (volume to capacity analysis when analyzing I-84), and performance of the transportation system within the proposed development’s Area of Influence and any additional locations previously identified by the City Manager or designee for both the Buildout Year and any phases thereof, and the Long-Range Forecast Year. Performance analysis shall be based on the standards of Section. Safety considerations shall be evaluated. 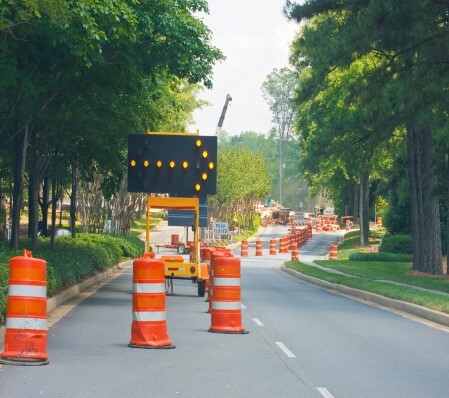 Potential safety problems resulting from conflicting turning movements between and among driveways, intersections, and internal traffic shall be addressed. Distance to the nearest driveways on both sides of streets fronting the site and in both directions from site access points shall be shown. On- Site driveway stacking and queuing impacts shall be assessed. The potential for shared access with adjacent development shall be assessed. Geometric design and operational improvements including but not limited to acceleration lanes, deceleration lanes, turning lanes, traffic signals, and channelization shall be considered, evaluated, and recommended when determined necessary by standards and practices adopted by ODOT, Multnomah County, the City or approved by the City Manager or designated representative. Adequacy of sight distance shall be addressed at the proposed road access point(s) for both the existing road configuration and for the ultimate road configuration based on improvements planned for the development and improvements identified in the Comprehensive Plan Transportation Element. Sight distance shall meet City standards or AASHTO standards as determined by the jurisdiction. The analysis shall also identify and evaluate related impacts on bicycle, pedestrian, and transit access, circulation, and facilities. Other, operational, circulation, safety, and capacity issues shall be evaluated and addressed as required by the City Manager or designated representative. f. Mitigation Identification. The analysis shall make recommendations for improvements necessary for safe and efficient traffic flow and bicycle, pedestrian, and transit movement and access based on and roughly proportional to the identified impacts. Buildout Year, Long-Range Forecast Year, and project phasing impacts shall be considered. The traffic impact analysis shall discuss the estimated levels of impact, improvements, and mitigations, and shall demonstrate how the recommended mitigations are roughly proportional to the identified impacts. g. Recommendations. The Traffic Impact Analysis report shall clearly state the mitigation measures recommended by the analysis and shall summarize how the recommended mitigations are roughly proportional to the identified impacts. The recommended street and highway mitigation measures shall be shown on a scaled drawing that depicts existing and recommended improvements. G. Conditions. Based on the mitigation measures recommended by the Traffic Impact Analysis, the City in collaboration with the jurisdiction with authority on the road or abutting roads, may impose reasonable conditions on development as necessary to maintain compliance with performance standards in the Transportation System Plan (TSP), including where applicable Level of Service (LOS) standards, and in compliance with standards of the jurisdiction with authority on the road. Such conditions may include requiring construction of offsite improvements, but no improvements to streets or intersections not contiguous to the subject property shall be undertaken without the approval of the affected jurisdiction. A. Purpose. A Development Plan is required for all sites in the Town Center zone to ensure that transportation and other facilities will support the anticipated development, and comply with requirements of the zone. Figure 235-1 is the adopted plan for the entire Town Center Zone, and is a Concept Plan Regulating Diagram adopted using a Type III procedure. The adopted Concept Plan Regulating Diagram will provide the framework for the review of applicant submitted Development Plans for portions of the site. B. When Required. Approval of a Development Plan meeting the requirements of this section is required before any land division or other development may occur on a site in the Town Center Zone. Proposed Development not identified in the current code or designated in Figure 235-1 may be enabled by an applicant initiated Town Center Development Plan as described in Section 235.400.C.(2)(b)(iii). Pre-Application Review of Development Plan. (vii) Minor Modifications requested, if any. (b) City Staff shall review the preliminary development plan and prepare a pre-application report responding to it within 30 days of submittal. The report shall be based upon the Comprehensive Plan, City of Wood Village Vision statement for 2030 (June 2017) and compliance with the standards and regulations of this ordinance. (a) The applicant must submit a Development Plan application within one year of pre- application plan review. Otherwise, the pre-application review will expire and another pre- application review will be required prior to resubmission of the Plan. (b) The Development Plan shall be reviewed under the procedures listed in Sections 510-530 of the Code. The decision making authority provided in the code may approve, approve with conditions or deny the Plan based on the requirements of Section 235.110. For Type III, the decision of the Planning Commission shall be in the form of a recommendation to the City Council. For Type III hearings, the City Council must review the Planning Commission’s decision and conduct a de novo hearing to determine whether the Plan should be approved, approved with conditions or denied. (i) A Development Plan that is consistent with the Concept Plan Regulating Diagram (Figure 235-1) may be approved, approved with conditions, or denied through a Type I procedure. (ii) The Planning Commission may approve, approve with conditions, or deny, through a Type II procedure, a proposed Development Plan that differs from Figure 235-1 in ways that are consistent with the “Minor Changes” limitations in Section 235.490.C. (3)(b)(1) through (4). (iii) Through a Type III procedure, the Planning Commission and City Council may approve, approve with conditions, or deny a proposed Plan that differs from Figure 235-1 in ways that are not consistent with the “Minor Changes” limitations in Section 235.490.C. (3)(b)(1) through (4). (iv) Denial of a Plan shall not bar an applicant from proposing to amend the Concept Plan Regulating Diagram (Figure 235-1) before or concurrently with an application for Plan approval. (a) Major Changes. Major changes in the Development Plan after it has been adopted shall be considered the same as a new application and shall be made in accordance with the procedures specified in this section. Do not change the location or amount of land devoted to specific land uses. Do not change the location of streets, paths and plazas, except as permitted by the standards of Section 235.420, Section 235.455 and Figure 235-1. D. Criteria. An application for a Development Plan shall be approved if the proposal meets all of the following criteria. The City, in approving the application, may impose reasonable conditions of approval, consistent with the applicable criteria. The proposal meets all existing conditions of approval for the site or use, as required by prior land use decision(s), as applicable. Requiring landscaping, berms, screening, drainage, water quality facilities or specialty screening or improvements. Town Center Development Plan Diagram. The Development Plan shall address the entire area of the proposed development site. (vii) Locations of all natural features including, but not limited to, any existing trees of a caliper greater than 6 inches dbh, and any natural drainage ways, wetlands or creeks on the site and identification of any contemplated modifications of natural features. (xi) The Gateway requirement of 235.470. (c) The Development Plan diagram shall include maximum building footprints and shall indicate the general expected location of residential uses, commercial and limited industrial uses, any areas of mixed use, and any existing buildings to remain. It should be generally understood which streets, paths and open spaces future buildings will be oriented to. 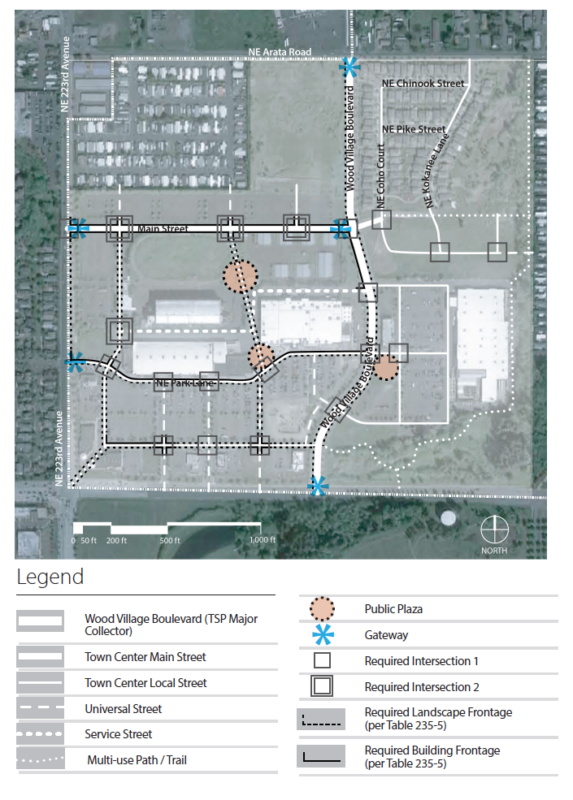 The Town Center Development Plan may include a Phasing Plan to illustrate the anticipated sequence of development projects within the development site, how each development project can comply with applicable requirements including adequate parking ratios for proposed uses, and how development at build-out can comply with the applicable ultimate minimum FAR requirement for the development site. (a) Findings for the criteria of Section 235.490.D. (b) The Transportation Policies of the Comprehensive Plan. (c) The Transportation Impact Analysis requirements of Section 235.480. (d) The Limitations on Large Retail Use requirement of 235.220. 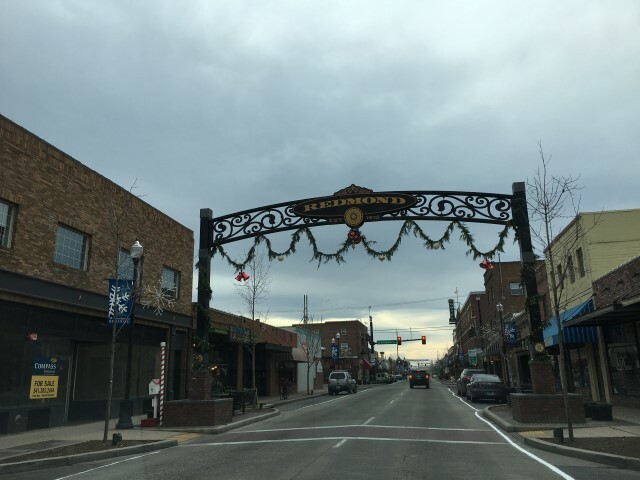 (e) Any other requirements of this Code that the Planning Commission or City Council determine must be addressed in the Town Center Development Plan in order to ensure conformance with those requirements. G. Effect of Plan. A Development Plan is not a subdivision, planned unit development or specific design review approval for land development. An applicant must obtain separate approvals for any development, including design review, subdivision or planned unit development approvals; such approvals may be requested and processed concurrent with a proposed Development Plan review in a consolidated land use decision procedure. A project or land division that is generally consistent with the Concept Plan Regulating Diagram may proceed under the regular provisions of this development code. If a proposal would, in the judgment of the assigned reviewer of this code, be clearly inconsistent with other applicable provisions of this Development Code including the 2030 Vision Plan (June 2017) and Comprehensive Plan, the applicant must seek amendment of the Concept Plan Regulating Diagram either before or concurrently with the application for design review, subdivision or planned unit development approval. The manufacturing zones are intended to reserve land for industrial uses and development which improve the economic vitality of the city. Limits on the intensity of uses combined with the development standards provide flexibility as well as certainty to property owners, developers and neighbors about the limits of what is allowed. A. Light Manufacturing. This zone is intended for industrial uses characterized by an absence of objectionable external features which can be permitted in relatively close proximity to residential and commercial districts. B. General Manufacturing. This zone is intended for a broad range of industrial uses which can be located in areas where they do not directly affect the livability of residential neighborhoods and the quality and viability of commercial areas in the city. This district provides for the normal operation of an industry which can meet and maintain the standards set in this code in order to reasonably protect nearby residential and commercial districts. 240.120 In addition to the standards definitions of Section 720.030, “Employment Related Definitions” may also apply. A. Uses Allowed Outright. The uses allowed in the manufacturing zones are shown in Table 240-1 by the letter “Y”. Uses are allowed if they comply with the development standards of the base zone and any additional regulations that apply to the use or the site. Additional regulations are listed in Section 300. B. Conditional Uses. The uses which are allowed upon approval through the conditional use review process are shown in Table 240-1 with the letters “CU”. These uses must meet the conditional use approval criteria, the development standards and any additional regulations stated in Section 300. Solid Waste uses and siting standards must be in compliance with Appendix A – Mitigation Agreement for Siting Solid Waste Facilities. a. Marijuana Facilities may be allowed, subject to a Conditional Use Permit pursuant to Article 620 of this Code, in the Light Manufacturing and General Manufacturing Zones (LM & GM). No Marijuana facility may be located within the City unless it satisfies all the requirements of this Code and provides evidence of all licensing required by State law. No outdoor production or growing facilities may be authorized by this provision. Marijuana facilities legally established pursuant to this Code shall not be found in conflict with the provision of this Code in the event that a conflicting land use locates in the vicinity of a facility subsequent to the facility obtaining land use approval from the City. Should such conflict arise, the marijuana facility shall be considered a legal nonconforming use and subject to provision set for in Section 640 of this Code. Within 1,000 feet of another marijuana facility. C. Prohibited Uses. Uses shown in Table 240-1 with the letter “N” are prohibited in the zone. Legally established uses & development which existed at the time this Code was adopted and would otherwise be prohibited, are subject to additional regulations in Section 640 – Non-conforming Situations. D. Limited Uses. Uses shown in Table 240-1 with the letter “L” are allowed subject to the following limitations. This regulation applies to all parts of Table 240-1 marked with a (1). Retail Sales and Service uses in the Light Manufacturing and General Manufacturing zones are limited to 35% of the footprint of all buildings on any lot or group of contiguous lots in common ownership or control. Larger Retail Sales and Service uses (more than 35% of the building footprint) are subject to approval under the conditional use procedure. This regulation applies to all parts of Table 240-1 marked with a (2). Office uses in the Light Manufacturing and General Manufacturing zones are limited to 35% of the footprint of all buildings on any lot or group of contiguous lots in common ownership or control. Larger Office uses are subject to approval under the conditional use procedure. This regulation applies to all parts of Table 240-1 marked with a (3). Daycare uses in the Light Manufacturing and General Manufacturing zones are limited to 3,000 gross square feet of area. Larger Daycare uses are subject to approval under the conditional use procedure. Control the overall bulk and intensity of an area through required dimensional standards and building envelope limits. 240.310 Lot Size and Dimensional Standards. A. Minimum Lot Size & Dimension. There is no minimum lot size or dimension for development of land or creation of new lots in manufacturing zones. Creation of new lots is subject to the regulations of Section 450 – Subdivisions and Partitions. The lot size for all permitted or conditional uses shall be adequate to fulfill the applicable requirements stated below. A. Required Setbacks. The setbacks for front, rear and side yards are stated in Table 240-2. A. Maximum Height. The maximum height for all structures is stated in Table 240-2. Projections allowed. Projections extending vertically for permitted buildings and uses, such as skylights, steeples, flagpoles, chimneys, and radio and television aerials, may be erected above the height limitations herein proscribed. Such structures shall not project more than 5′ above the maximum permitted height. For sites abutting or facing a residential zone the maximum height is 25 feet within the first 25 feet from the lot line facing or abutting the residential zone. For distances further than 25 feet the maximum height is 45 feet. For sites abutting a commercial zone, the setback required for the abutting lot line shall be equal to that of the commercial zone. For sites abutting or facing a residential zone, the setback requirement for the facing or abutting lot line shall be 50 feet. Within boundaries of the development, minimum 10% or all site area available, whichever is greater. Applies to all street frontages. For sites facing or abutting a residential zone, the entire depth of the required setback must be landscaped. See Section 330 – Landscaping & Screening for a description of the landscape standards (i.e., L1, F2, etc.). Required landscaping shall be continually maintained. B. Landscape Buffer. A landscaped buffer shall be established and maintained in accordance with the dimensions stated in Table 240-2 and the standards in Section 330 – Landscaping and Screening. The requirements of 240.340 A (2), (3) & (4) apply to the landscape buffer as well. A. Covered Accessory Structures. All covered accessory structures, whether attached to the primary building or detached, shall fulfill the front, side and rear building setbacks requirements and height restrictions. These standards are stated in Table 240-2. B. Uncovered Accessory Structures. Uncovered, detached accessory structures such as signs, flag poles and lamp posts are allowed in the front building setback but not in a required setback from an abutting commercial or residential zone. 240.360 Exterior Display, Storage and Work Activities. A. Exterior Display. Exterior display of goods is allowed in all manufacturing zones. The setback and landscape standards for exterior display areas are stated in Table 240-3. B. Exterior Storage. Exterior storage is allowed in all manufacturing zones. The setback and landscape standards for exterior storage areas are stated in Table 240-3. C. Exterior Work Activities. Exterior work activities are allowed in the General Manufacturing zone and prohibited in the Light Manufacturing. The setback and landscape standards for exterior work areas are the same as that for exterior storage as stated in Table 240-3. 240.370 Wastewater and Stormwater Disposal. A. Industrial Wastewater Disposal. Industrial wastewater includes wastewater resulting from production, or resulting from the washing of equipment and vehicles, or resulting from similar activities. Stormwater runoff and runoff from the watering of landscaping is not included. All industrial wastewater disposal must be approved by the Public Works Director. Industrial wastewater must be disposed into a sanitary sewer unless an alternative disposal is approved by the Department of Environmental Quality (DEQ). 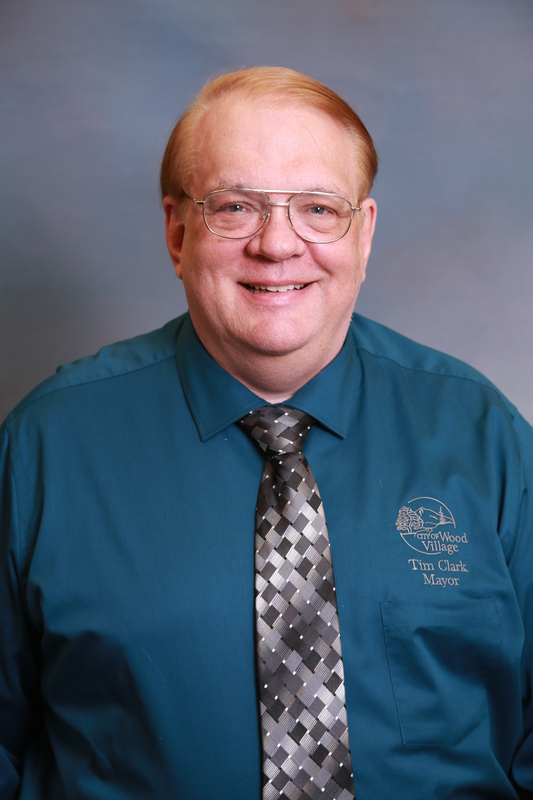 The Public Works Director may require pretreatment. A sampling manhole and industrial wastewater discharge permit may be required. Sanitary and industrial wastewater quality must meet City code requirements. B. Stormwater Disposal. All stormwater, groundwater, and runoff from the watering of landscaping must be discharged into an adequate watercourse, water body, storm sewer or into an approved on-site disposal system. Stormwater and groundwater disposal methods and the determination of the adequacy of the receiving systems require the approval of the Public Works Director. A permit from DEQ may also be required. B. Design Review. Design Review is required for all uses in manufacturing zones. See Section 630. C. Parking and Loading. See Section 350. D. Public Access. All lots shall have frontage or approved access to public streets, public water and public sewer before development is allowed. F. Signs. See Section 370. G. Solid Waste, Mixed and Recyclables Storage. See Section 390. This mixed use zone is specifically designed to encourage a variety of freeway-oriented uses which improve the economic vitality of the city. The development standards provide flexibility while ensuring compatibility of adjacent uses. 250.120 In addition to the standards definitions of Section 720.030, “Employment Related Definitions” may also apply. A. Uses Allowed Outright. The uses allowed in the Commercial/Industrial mixed use zone are shown in Table 250-1 by the letter “Y”. Uses are allowed if they comply with the development standards of the base zone and any additional regulations that apply to the use or the site. Additional regulations are listed in Section 300. B. Conditional Uses. The uses which are allowed upon approval through the conditional use review process are shown in Table 250-1 with the letters “CU”. These uses must meet the conditional use approval criteria, the development standards and any additional regulations stated in Section 300. Solid Waste uses and siting standards must be in compliance with Appendix A – Mitigation Agreement for Siting Solid Waste Facilities. C. Prohibited Uses. Uses shown in Table 250-1 with the letter “N” are prohibited in the zone. Legally established uses & development which existed at the time this Code was adopted and would otherwise be prohibited, are subject to additional regulations in Section 640 – Non-conforming Situations. This regulation applies to all parts of Table 250-1 marked with a (1). Daycare uses in the Commercial/Industrial Mixed Use zone are limited to 3,000 gross sq. ft. of area. Larger Daycare uses are subject to approval under the conditional use procedure. b. Training facilities whose primary purpose is to provide training to meet industrial needs. New buildings for the uses described above shall not interfere with the efficient movement of freight along Main Roadway Routes and Roadway Connectors shown on Metro’s Freight Network Map, 2003 or subsequent updated. Measures such as restrictions on access to freight routes and connectors, siting limitations and traffic thresholds may be imposed by the City. Provide adequate assurance of compatibility of adjacent uses within the mixed use context. 250.310 Lot Size and Dimensional Standards. A. Minimum Lot Size & Dimension. There is no minimum lot size or dimension for development of land or creation of new lots in the commercial/industrial mixed use zone. Creation of new lots is subject to the regulations of Section 450 – Subdivisions and Partitions. The lot size for all permitted or conditional uses shall be adequate to fulfill the applicable requirements stated below. Lots or parcels smaller than 50 acres may be divided into any number of smaller lots or parcels. Lots or parcels larger than 50 acres may be divided into smaller lots or parcels pursuant to a master plan approved by the City so long as the resulting division yields at least one lot or parcel of at least 50 acres in size. Lots or parcels 50 acres or larger, including those created pursuant to paragraph (2) of this subsection, may be divided into any number of smaller lots or parcels pursuant to a master plan approved by the city so long as at least 40 percent of the lot or parcel has been developed with industrial uses accessory to industrial uses, and no portion has been developed, or is proposed to be developed with uses described in subsection D.(2) of this section. d. To allow the creation of a lot for financing purposes when the created lot is part of a master planned development. A. Required Setbacks. The setbacks for front, rear and side yards are stated in Table 250-2. For sites adjoining a residential zone the maximum height is 35 feet, unless otherwise limited by the Federal Aviation Administration (FAA). Sites abutting a residential zone shall have a side setback of 15 feet. Sites adjoining a residential zone shall provide a minimum rear setback of 15 feet. Within boundaries of the development, minimum percentage or all site area available, whichever is greater. A. Maximum Height. The maximum height for all structures is stated in Table 250-2. B. Landscape Buffer. A landscaped buffer shall be established and maintained in accordance with the dimensions stated in Table 250-2 and the standards in Section 330 – Landscaping and Screening. The requirements of 250.340 A (2), (3) & (4) apply to the landscape buffer as well. A. Covered Accessory Structures. All covered accessory structures, whether attached to the primary building or detached, shall fulfill the front, side and rear building setbacks requirements and height restrictions. These standards are stated in Table 250-2. B. Uncovered Accessory Structures. Uncovered, detached accessory structures such as signs, flag poles and lamp posts are allowed in the front building setback but not in a required setback from an abutting commercial category use or residential zone. 250.360 Exterior Display, Storage and Work Activities. A. Exterior Display. Exterior display of goods is allowed in this mixed use zone. The setback and landscape standards for exterior display areas are stated in Table 250-3. B. Exterior Storage. Exterior storage is allowed in this mixed use zone. The setback and landscape standards for exterior storage areas are stated in Table 250-3. C. Exterior Work Activities. Exterior work activities are prohibited in this mixed use zone. Note: For description of the landscape requirements (i.e., L3, F2, etc. ), see Section 330 – Landscaping and Screening. 250.370 Wastewater and Stormwater Disposal. B. Design Review. Design Review is required for all uses in this mixed use zone. See Section 630. D. Public Access. All lots shall have frontage or approved access to public streets, public water and public sewer before development is allowed. Access to commercial use categories shall be from the highest classified or capacity street.